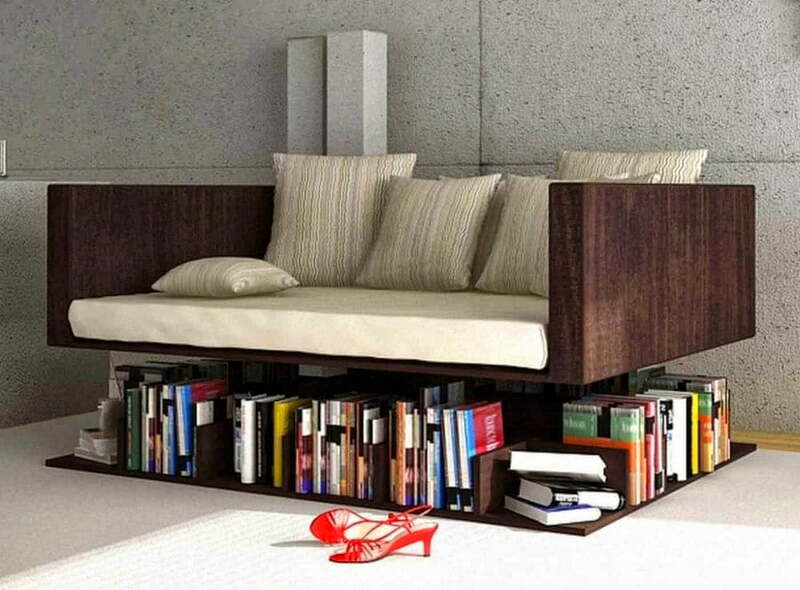 Looking to reorganize your books but want to do it in style? 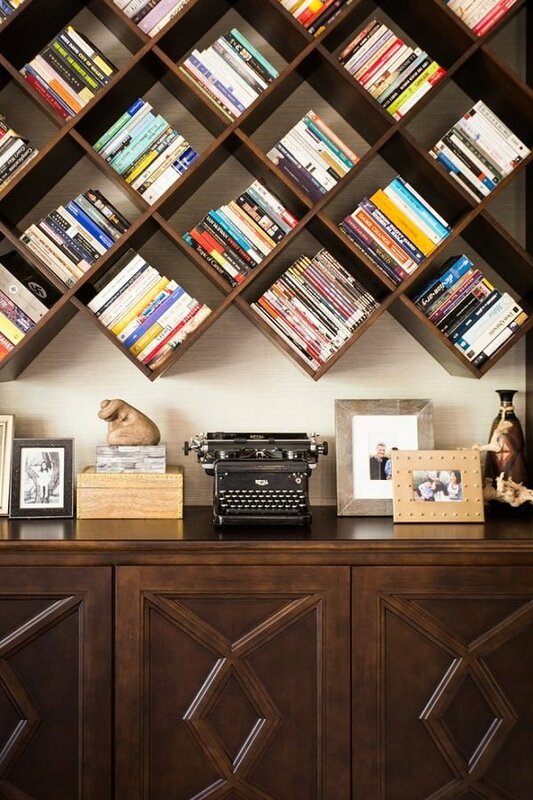 Here are 100+ inspiring bookshelf decor ideas to get your creative juice flowing. We all keep books at home (well, most of us anyway) and not only do we read them, but we also keep them for decor value as well. 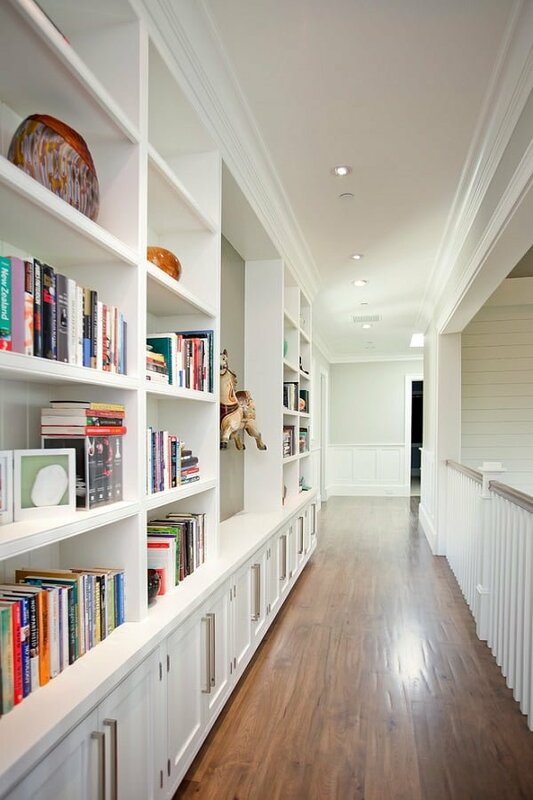 Bookshelves organized the right way can be the focal point of a room that you’ve been looking for. 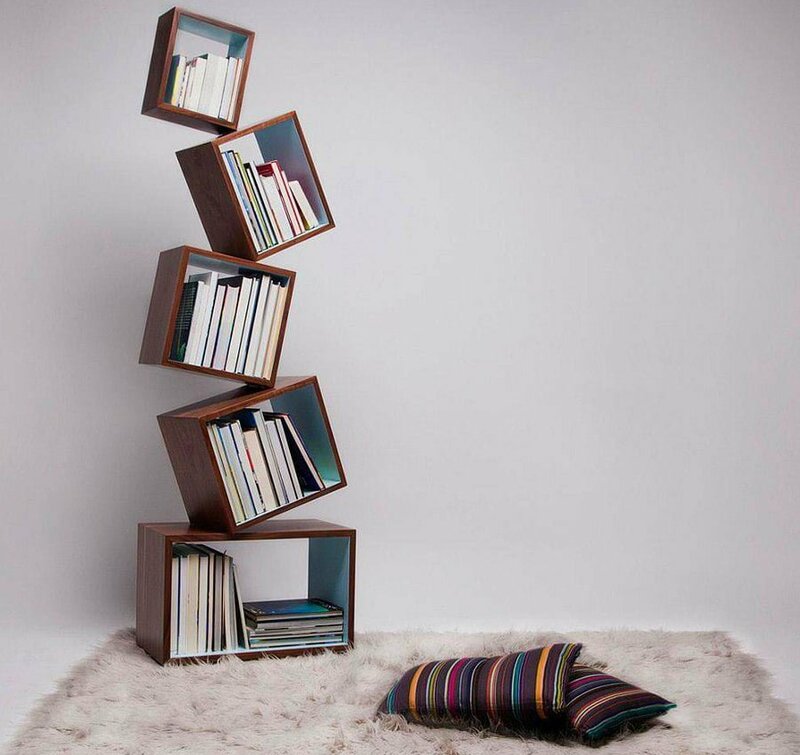 With that in mind, we’ve selected some of the most inspiring bookshelf decor ideas to get your creative juice flowing. 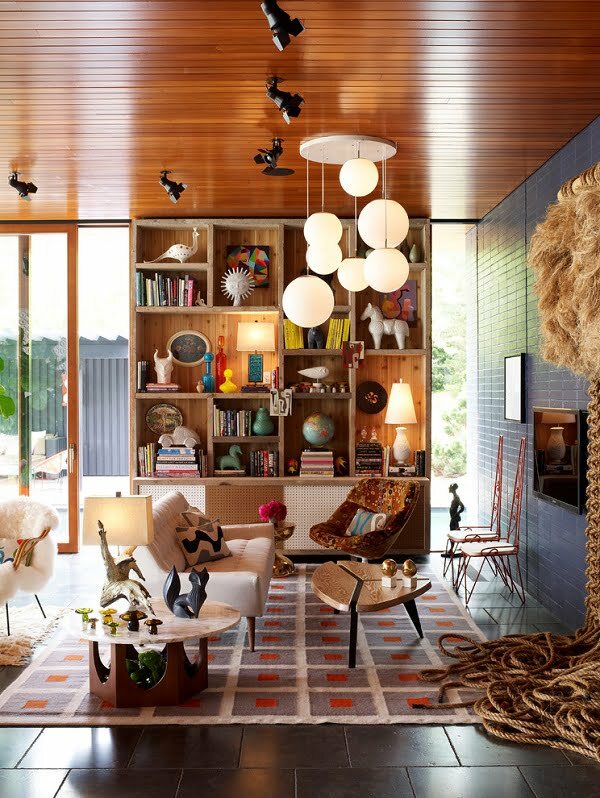 From stylish but straightforward bookshelves to original and extravagant displays of books that can make just about any bookworm jealous. 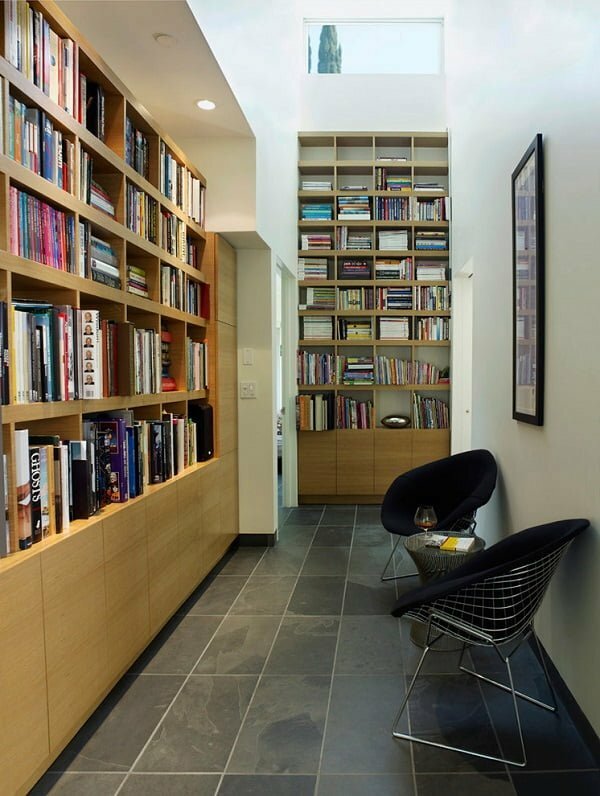 Here are over 100 pictures for you to study before reorganizing your books. Multiple styles are covered in this list, from modern to traditional, to rustic and farmhouse, so there’s everything for all kinds of likes. 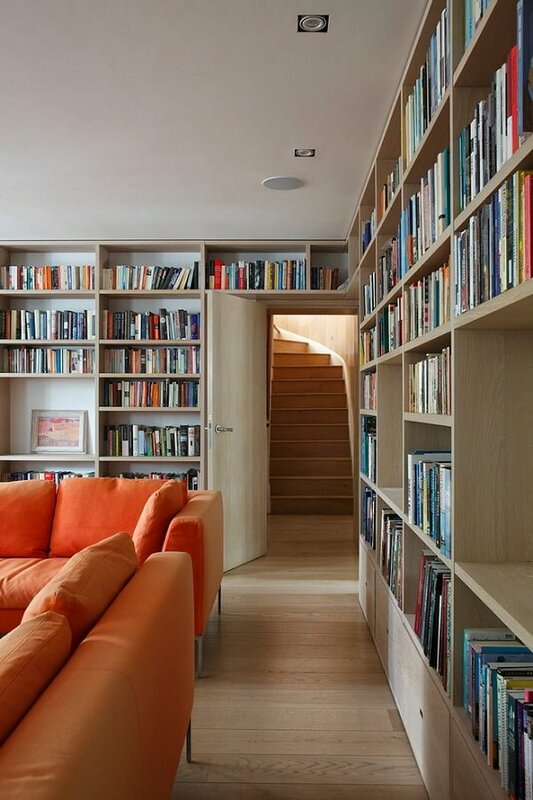 This majestic bookshelf expands takes up an entire wall and continues just beneath the stairs. 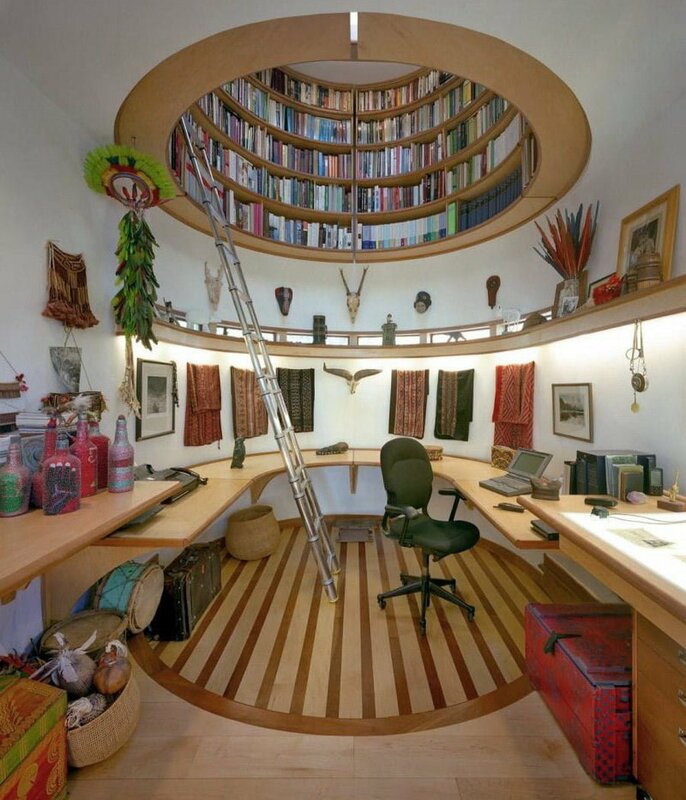 It also offers plenty of book space along with extra shelf room for various decorations. 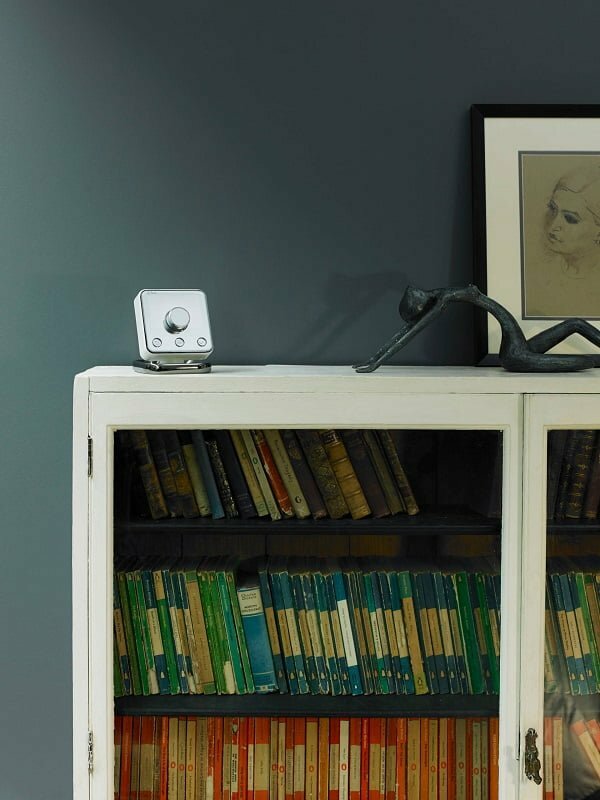 Using a navy-blue wall color makes this delicate and modernistic bookshelf stand out immensely! 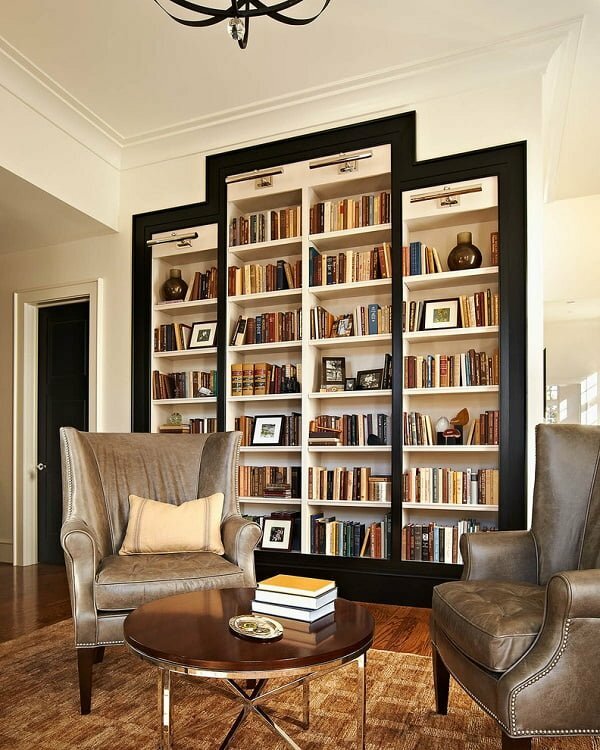 Using glass door cabinets, the bookshelf screams of luxury and smart design. 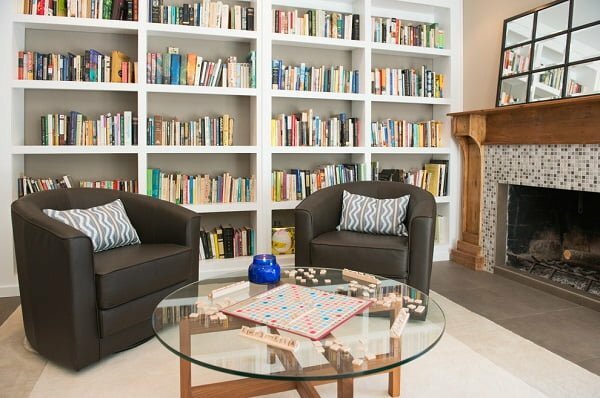 A cool built-in DIY bookshelf is an excellent addition to the all-white walls while allowing enough room for both, books and an elegant sitting area. Deep dark hardwood patterns work well with this multi-layered bookshelf which exudes class, sass and design built to last! Make good use of your room’s corners and design an all-white vertical bookshelf with a central white doors cabinet, introducing a lively dynamic to the setting itself. 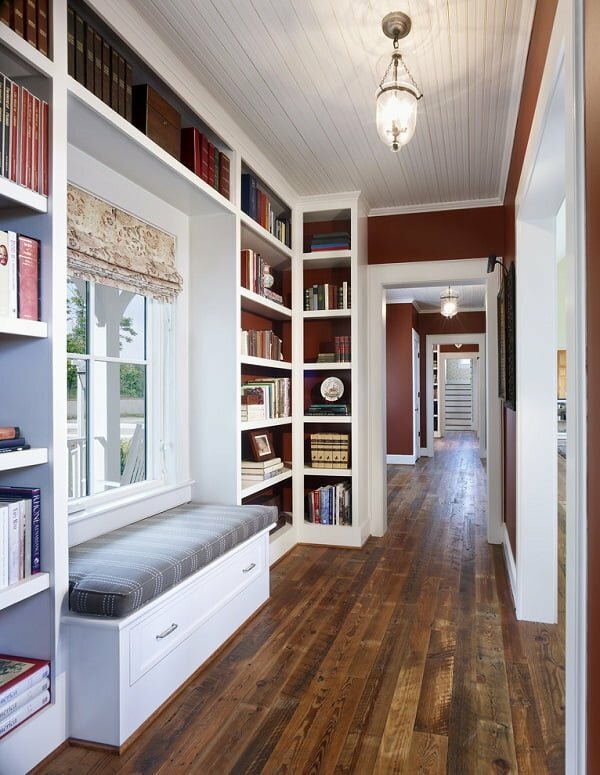 A lovely take on a bookshelf placement and outlook, which uses all hallway walls smartly and combines dark and neutral hardwood elements. Mix and match cream and darker shades, as seen in this great bottom-to-top bookshelf with closed bottom cabinets and plenty of storage and decor space. 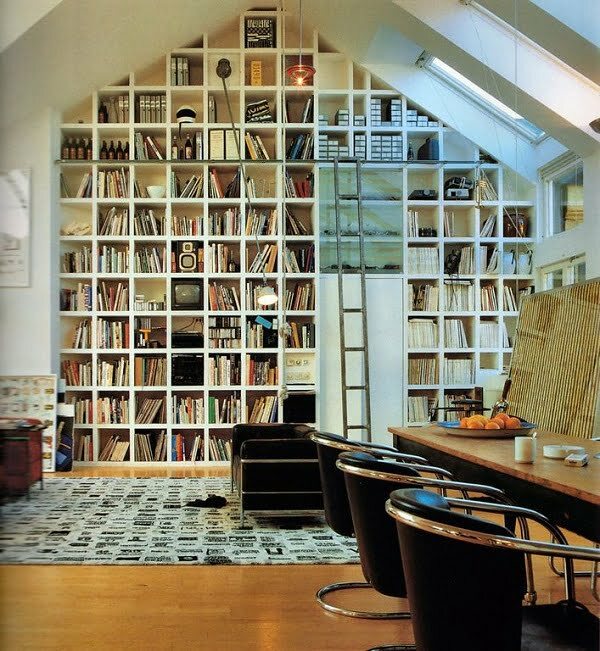 To prevent occupying an entire room wall, try designing a shelf collage with exposed edges, no cabinet doors and plenty of book storage space. 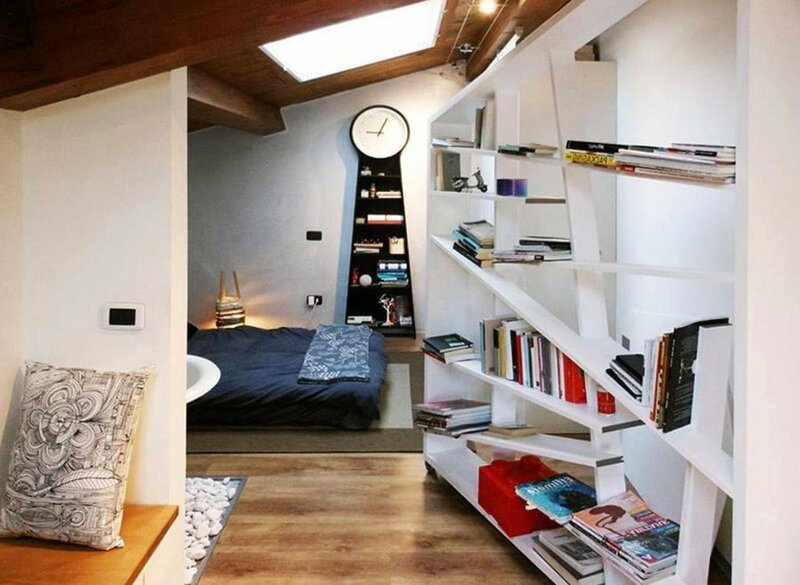 A beyond-functional detached bookshelf which uses a horizontal and vertical book placement room, while being positioned just below the ceiling to open up space additionally. 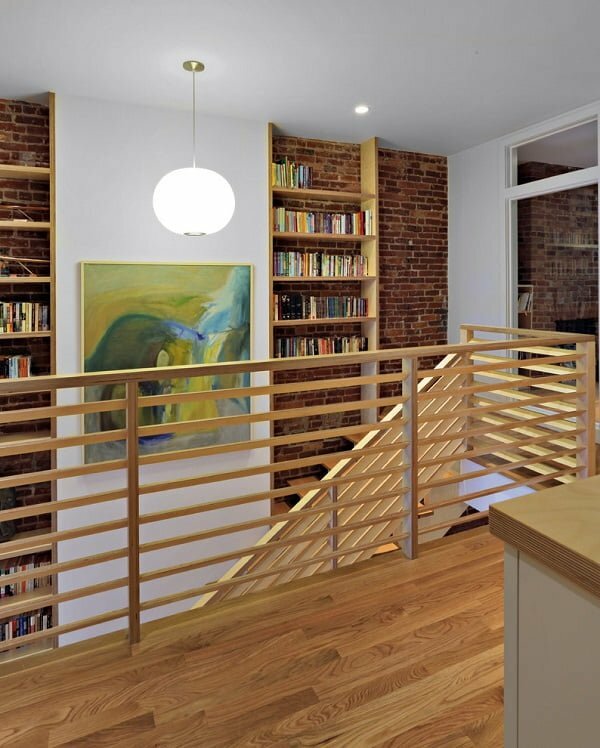 Connect two stories by installing a two-piece bookshelf with medium hardwood shelves and red brick walls. 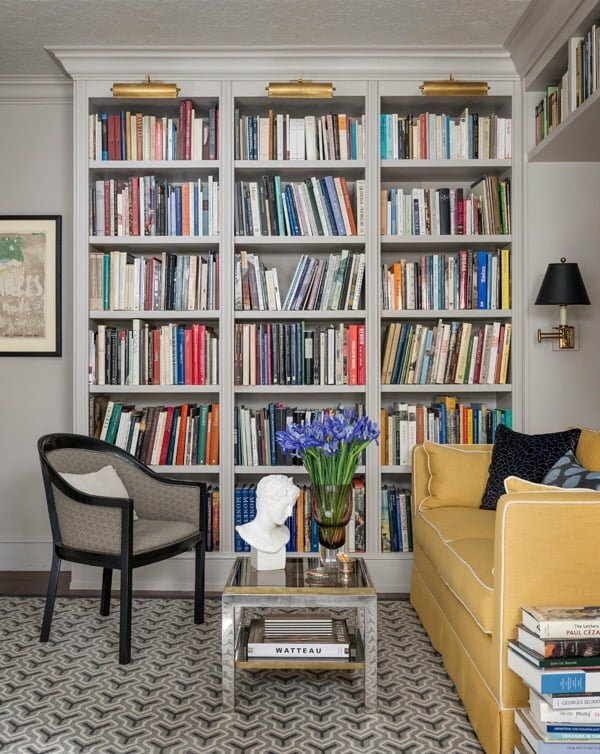 This presentable library has two-wall bookshelves made of delicate softwood and office-like design, thus creating a well-used and enjoyable space. 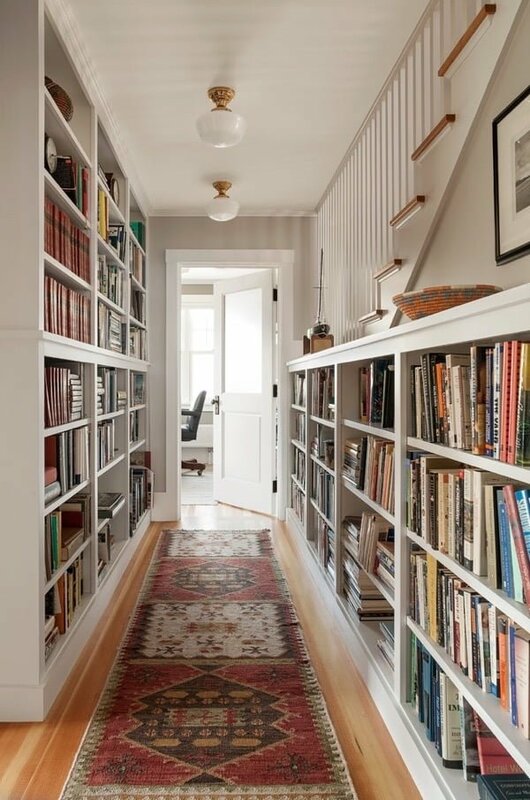 A second house story hallways can become a rich bookshelf library by solely using the most prominent carrier wall as a central bookshelf space with lower storage cabinets. 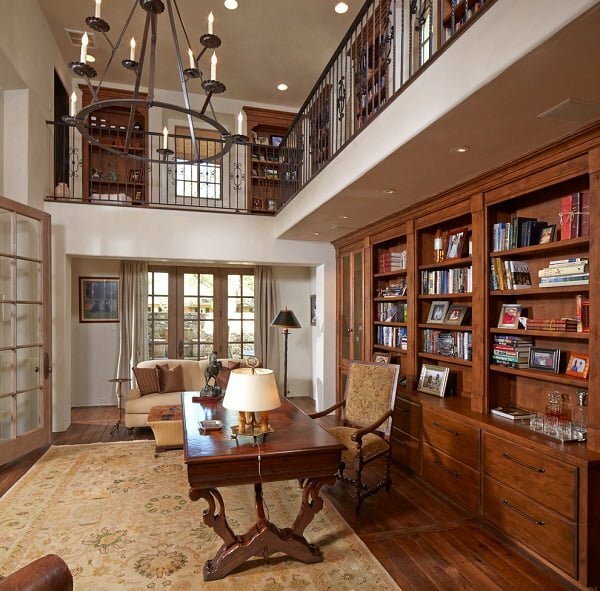 The vintage hardwood floors make a good match for the massive bookshelf with bottom-to-top cabinet outlook and supported by hardwood ceiling bars. 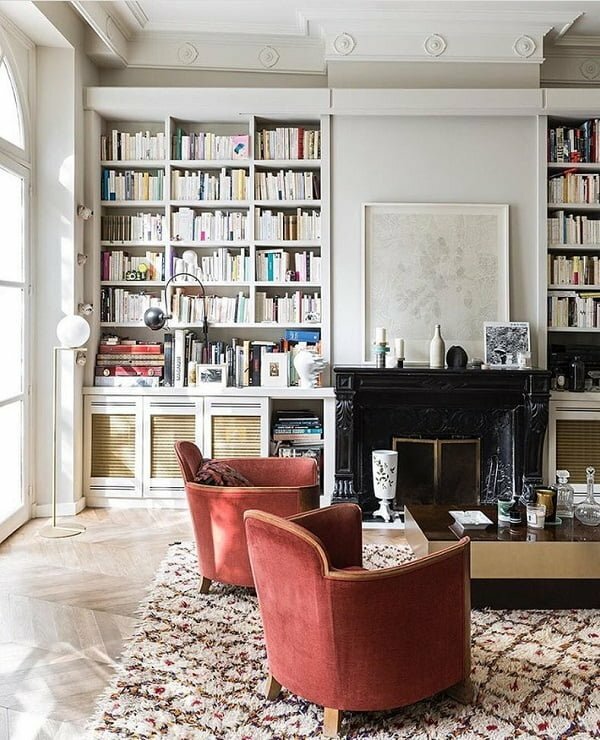 Using a central living room wall for a majestic bookshelf can be a genius idea, especially if you keep the white tones clean and neutral as seen in this incredible setting! 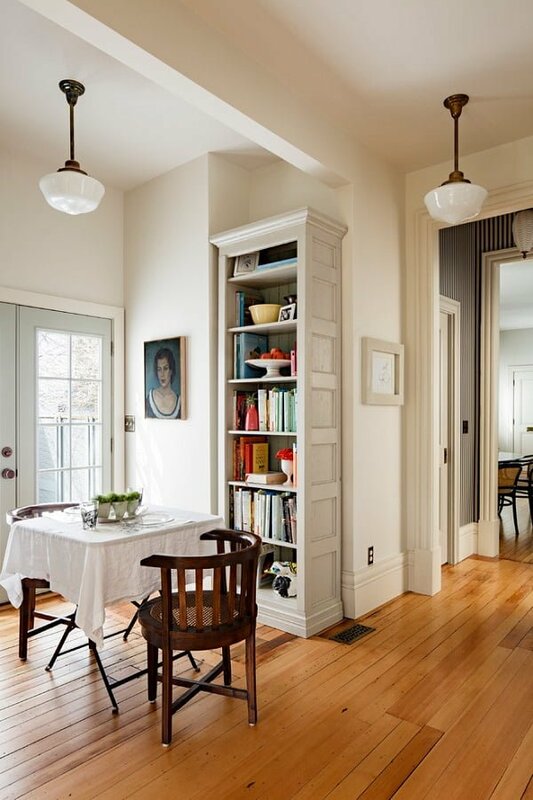 A masterful bookshelf which is not unusually tall or massive, but still offers both room and light into the reading room, through its white and narrow structure and lower cabinets. 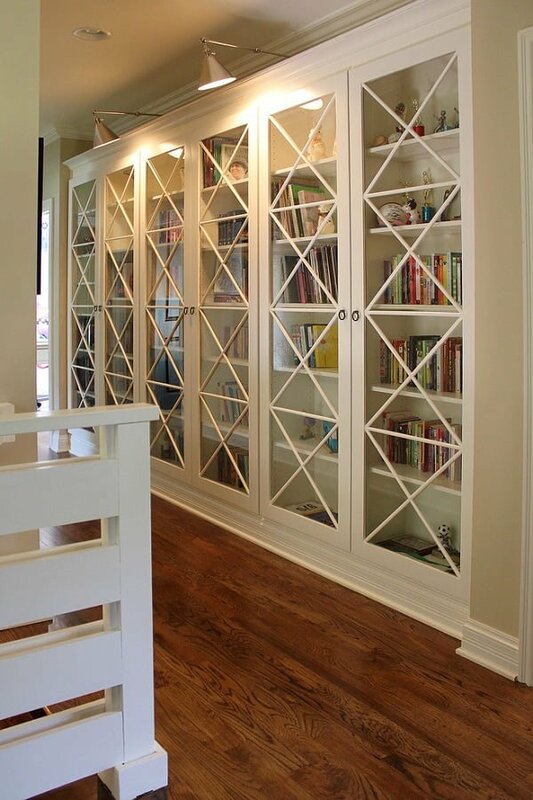 Combining traditional and modernistic bits, such as this beautiful white bookshelf with open lower cabinets and glass doors, can contribute to creating a dynamic and vibrant space. Introduce a nostalgic note to your reading room, through this hardwood and lacquered bookshelf with individual storage cabinets and a high glassdoor cabinet as well! The stunning oval wall is illuminated just enough to emphasize the great built-in bookshelf made of white wood and corner-installed shelves. 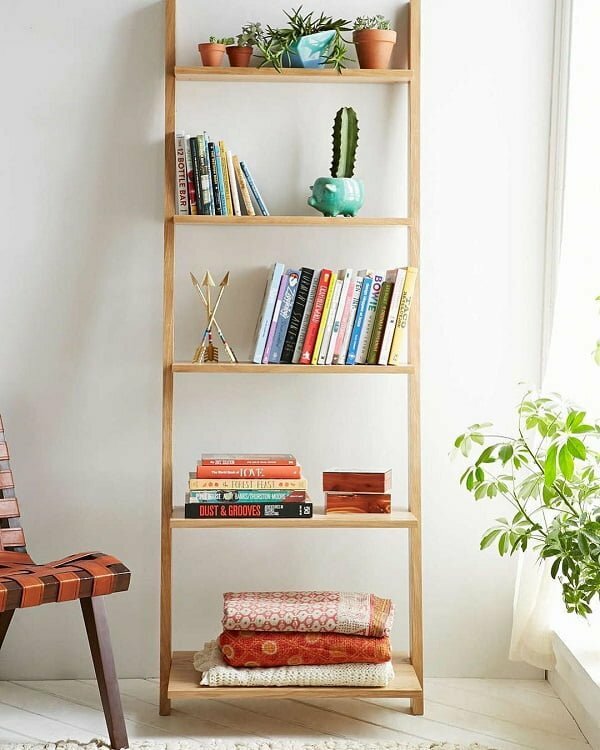 This incredible and mind-blowing bookshelf is a a hardwood collage of diagonal box-like shelves, which emphasize the dark hardwood table incredibly. 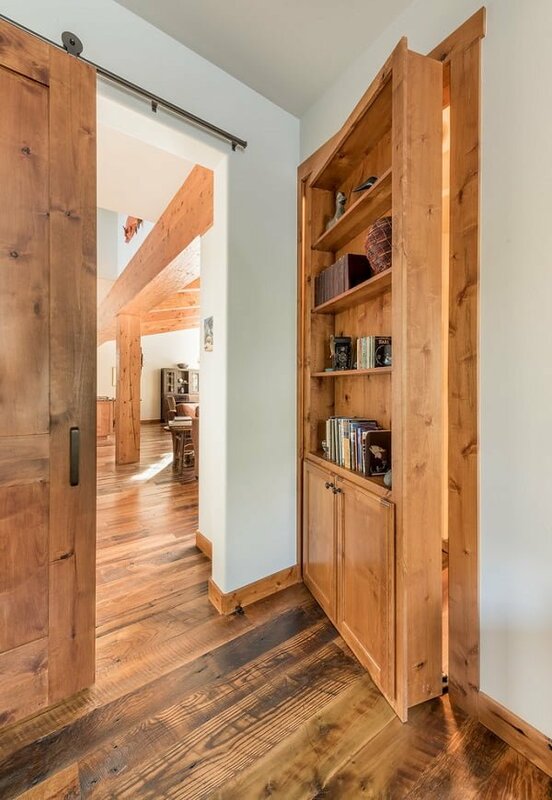 A dark hardwood bookshelf can serve as a great space separator, connecting two rooms just enough to create an intimate yet approachable scenery. 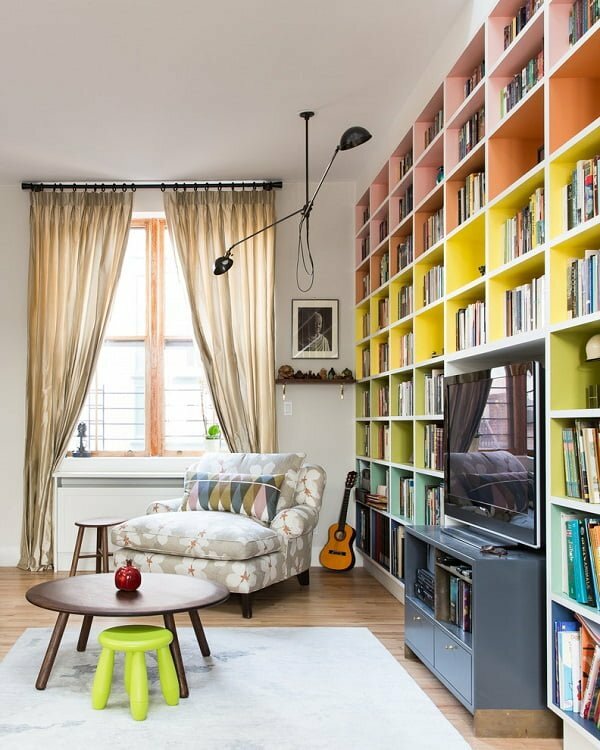 Mix yellow, orange, blue and pink hardwood shelves which extend from bottom to top of the wall, thus allowing a bright and cozy space to hang out in. 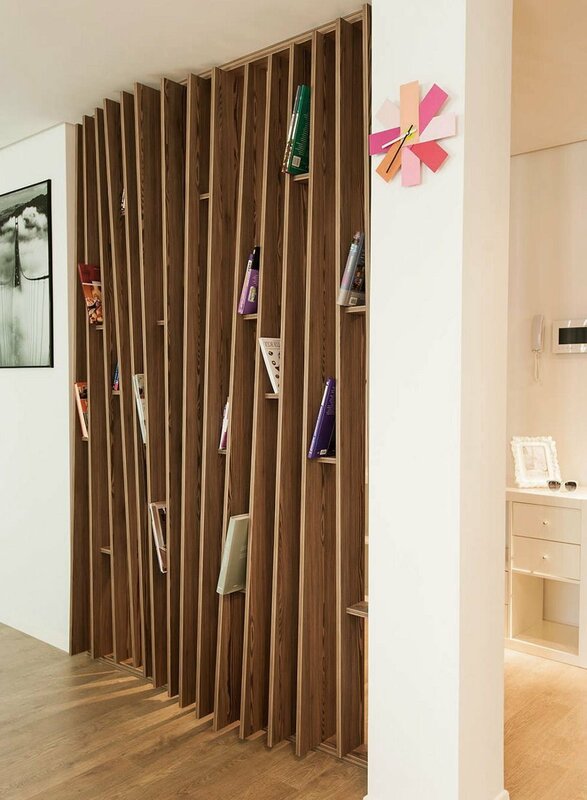 Create extra space by creating a wall edge-to-edge shelf which is geniously secluded behind a sliding entrance door. 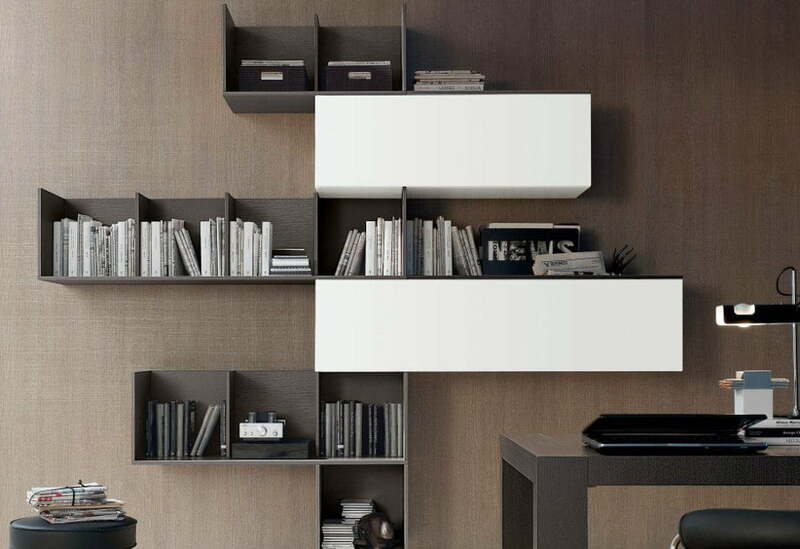 Designing a minimalistic bookshelf with only several necessary shelves is entirely possible as seen here! 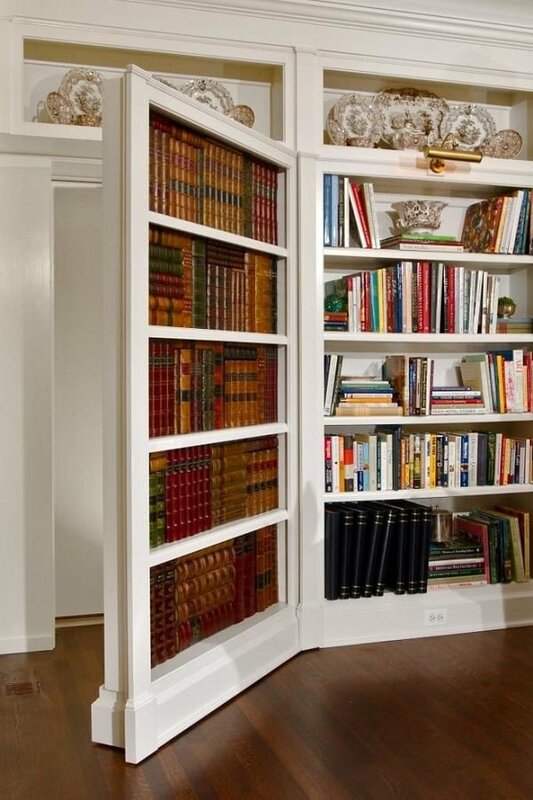 Plus, to add a bit more originality to the bookshelf itself, install it on the hidden wall door. Kick things up a notch by creating a half-room wall bookshelf with open square and rectangular shelves and a dramatic central entrance door! This bookshelf wall is a heaven for anyone who has a particular taste for beige shades, elegant decorative details and an eye for practically used space. 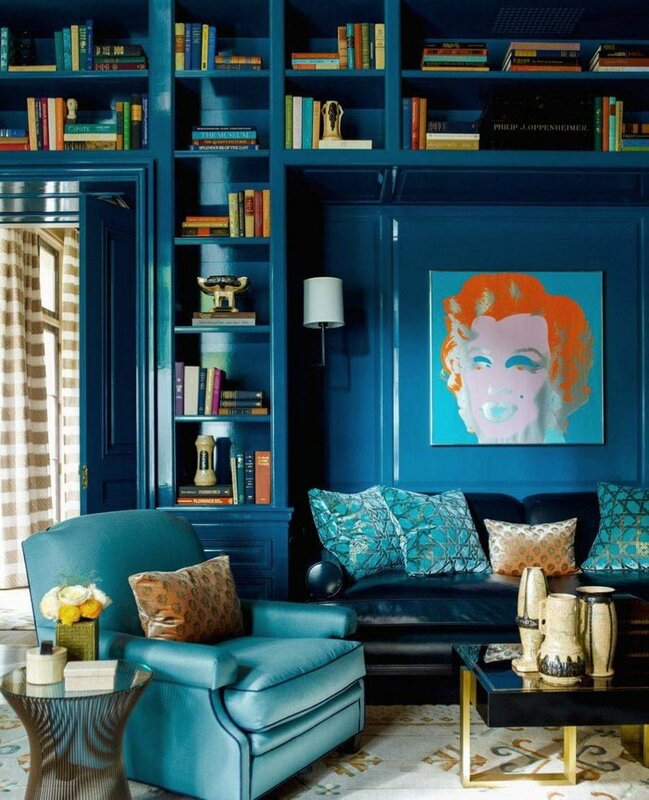 This one-of-a-kind bookshelf is centered right after a half-round wall, allowing light reflections and shadows to reveal the soft blue shades of the room. 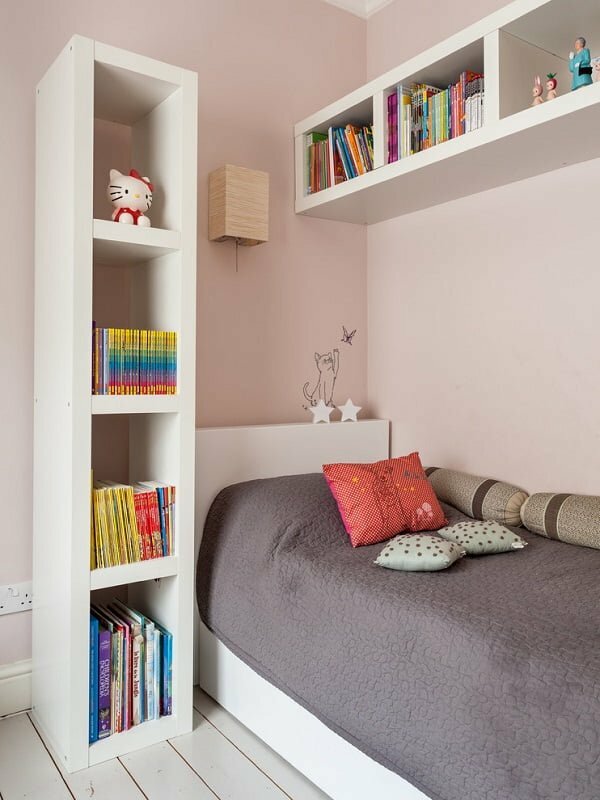 A playful kids’ room is dragging all attention on to the vertical, single column shelf which is both fashionable and somewhat timely. The blue background wall emphasizes the second-story bookshelf with plenty of books and decorative bits in it, as well as above-door shelves to use the space better. 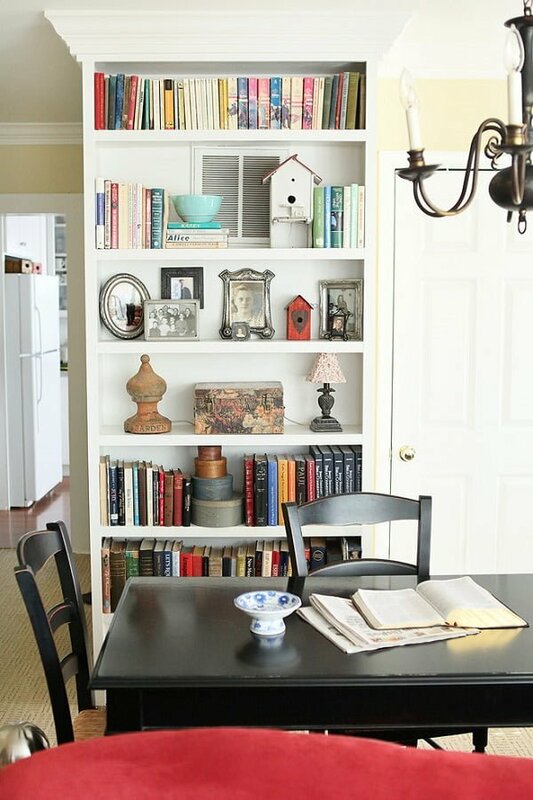 This medium-sized bookshelf is creating intentionally toned-down a bit, to preserve the cheerful atmosphere of the room, while still offering an artistic reading corner. 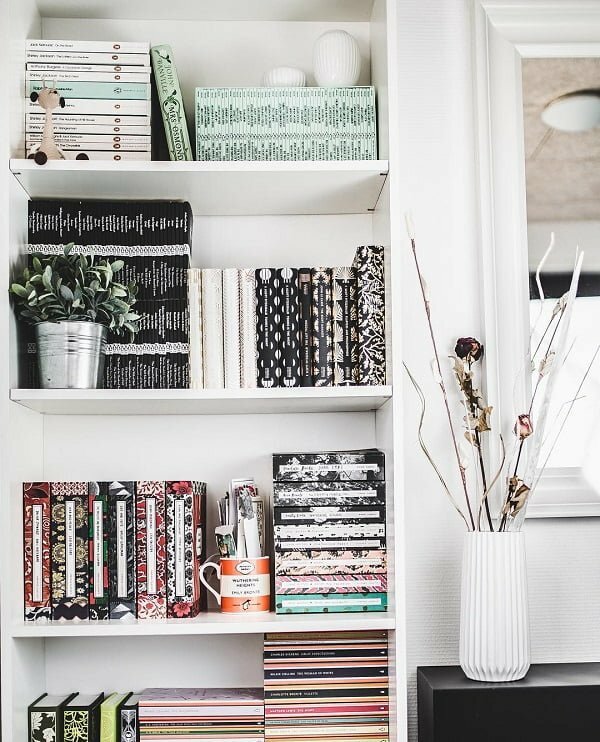 How to make bookshelf decor pop? 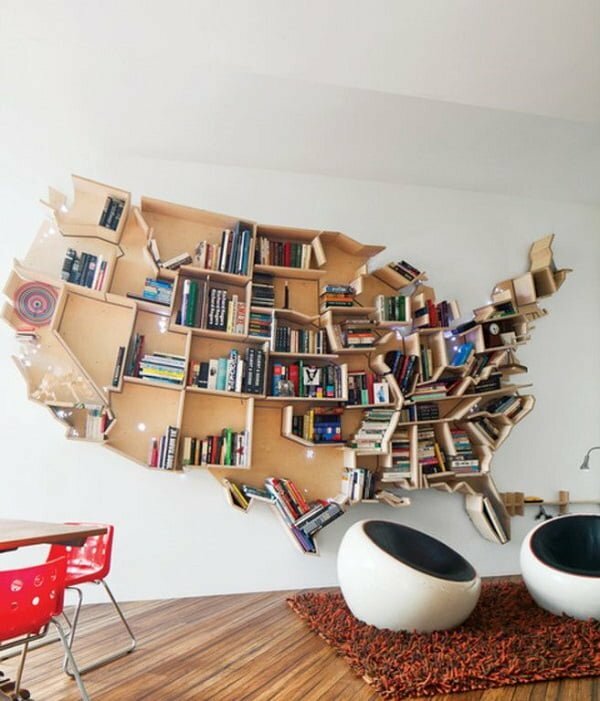 Create an atypical bookshelf outlook, such as this world map design and place it on a vast central wall to give the room some zest. 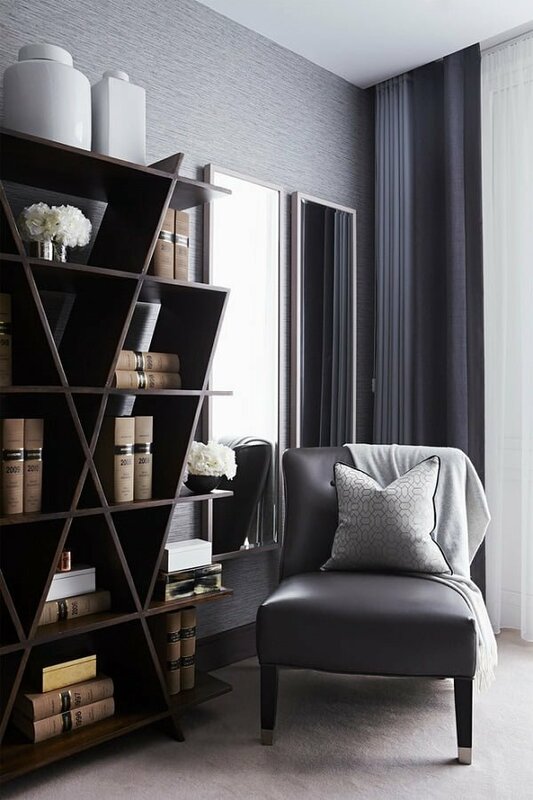 This bookshelf is based on a built-in wall and uses dark hardwood shelves to introduce elegance and tradition to the room, without taking away light whatsoever. A built-in bookshelf much like this one can be a great addition to this all-white bedroom, thus enabling a greater wall usage and a particular play with colors. 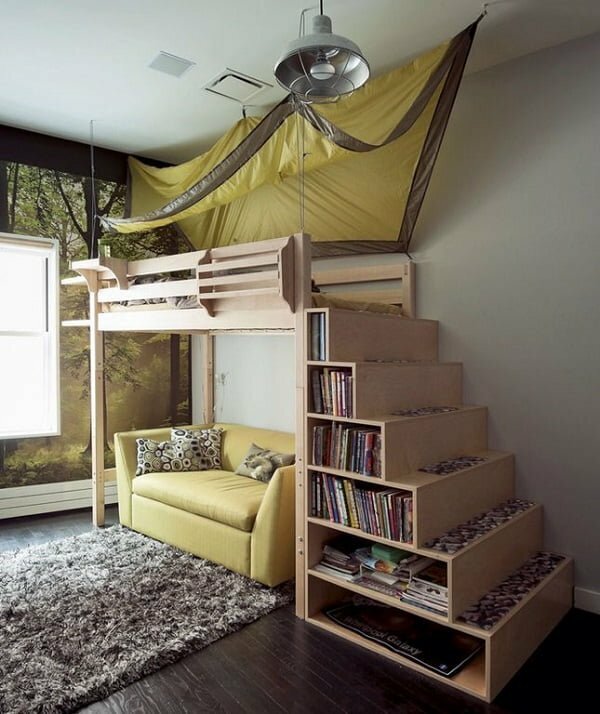 Use your kids’ room space better and place a strategic bookshelf just below the bunkbeds stairs, thus introducing playfulness into the room itself. The most straightforward bookshelf design much like this one here can be a great addition to the overall white feel of the room, creating a vibrant and well-used space. Make the most of your office space, by installing a whole-wall bookshelf with enough storage space, and cleverly selected dark-colored wall. The white hardwood bookshelf is beautiful on its own, but what truly makes it stand out are the specially selected black and white books which introduce oriental notes to the design itself. 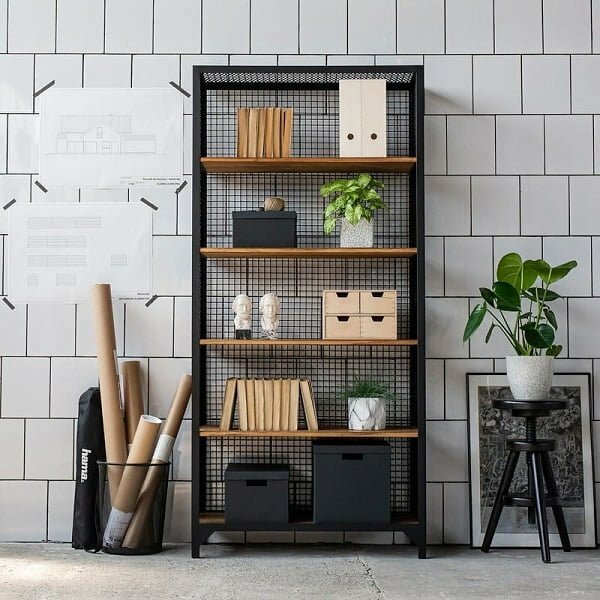 The handmade bookshelf is composed of even box-like shelves and uses its top as an ornamental segment, which accentuates the dynamic central wall. 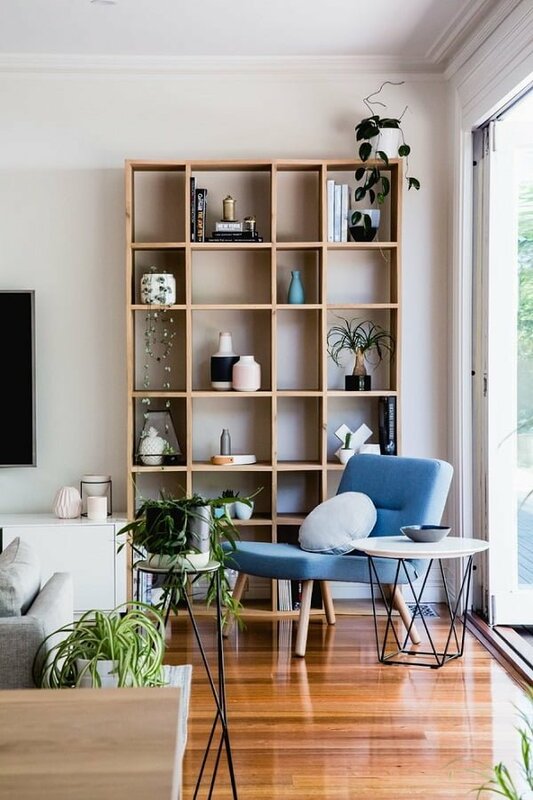 This well structured and single piece bookshelf uses light hardwood and open box-inspired shelves which leave out plenty of storage room and add a bit of joy to the setting. 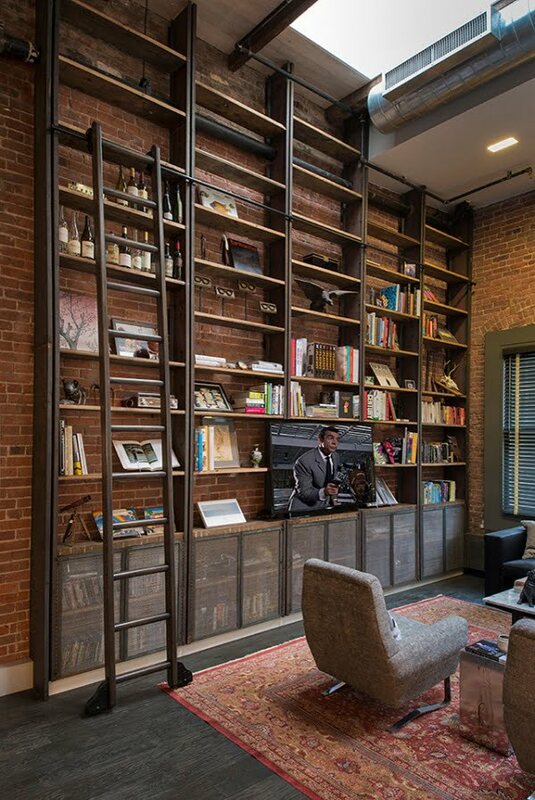 The innovative bookshelf uses atypical metallic wired shelves with installed hardwood shelves which depict a pleasant, yet urban feel of the room. This bookshelf is a built-in concept which divides the bookshelf itself into two segments, separated by a stellar fireplace wall, thus using the space right. 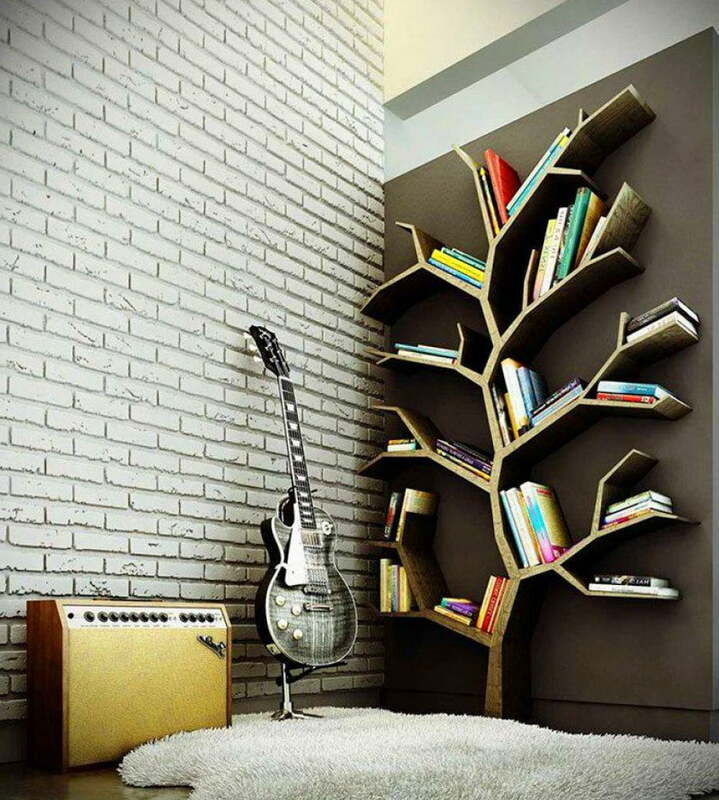 If you are into minimalism, this detached, yet united bookshelf idea will allow you to use a smaller wall to the best of its ability. 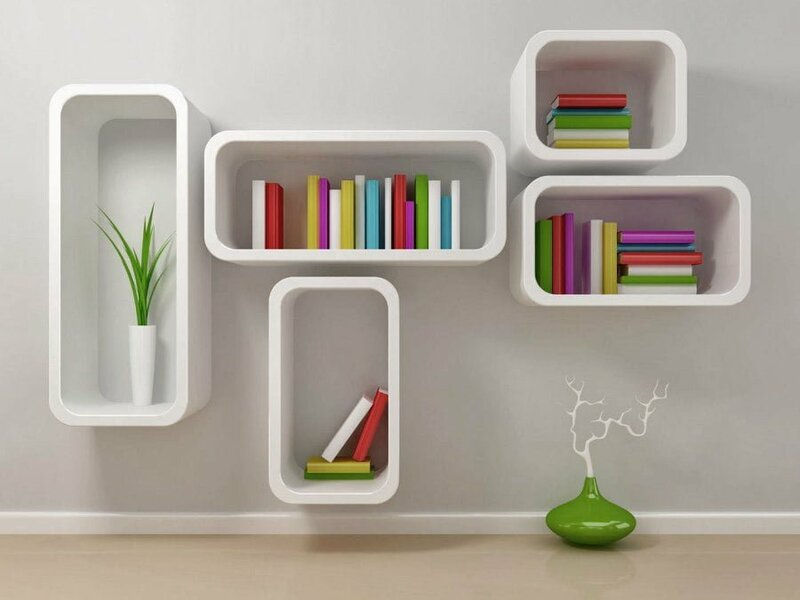 Transforming a plain white wall into an edge-to-edge bookshelf is a brilliant idea to help you expand the storage space into the room and still bring a hint of fun. 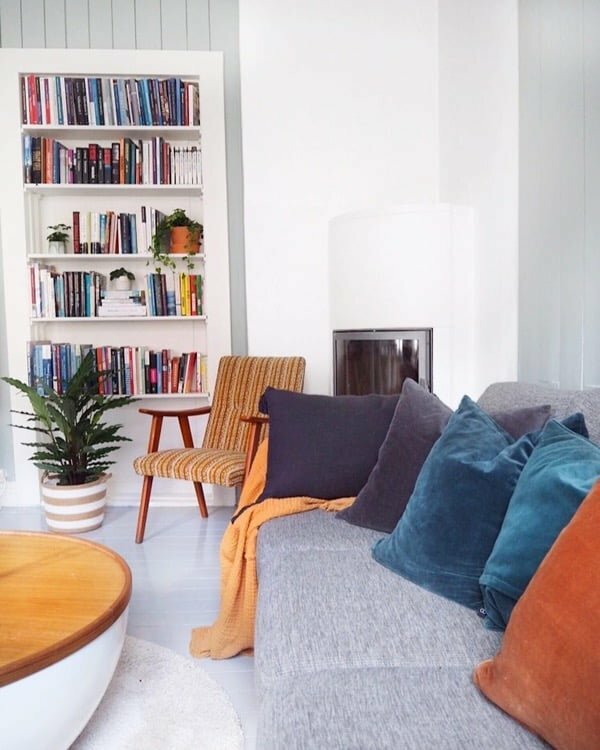 The soft baby blue ottomans go hand in hand with the grey bookshelf with open boxes of various sizes and bottom storage cabinets to create extra chicness in the room. 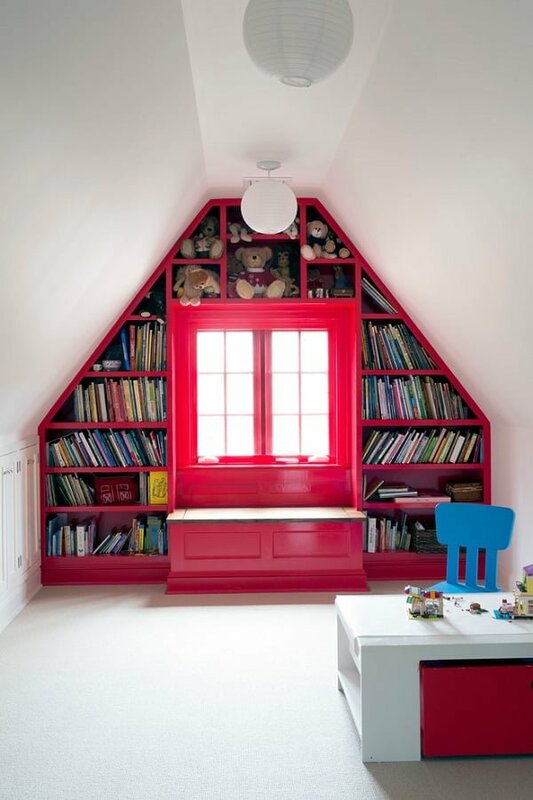 This endearing kids’ room is more than appealing, due to the statement red hardwood bookshelf which takes an attic-like shape and uses a fabulous below-window reading bench. 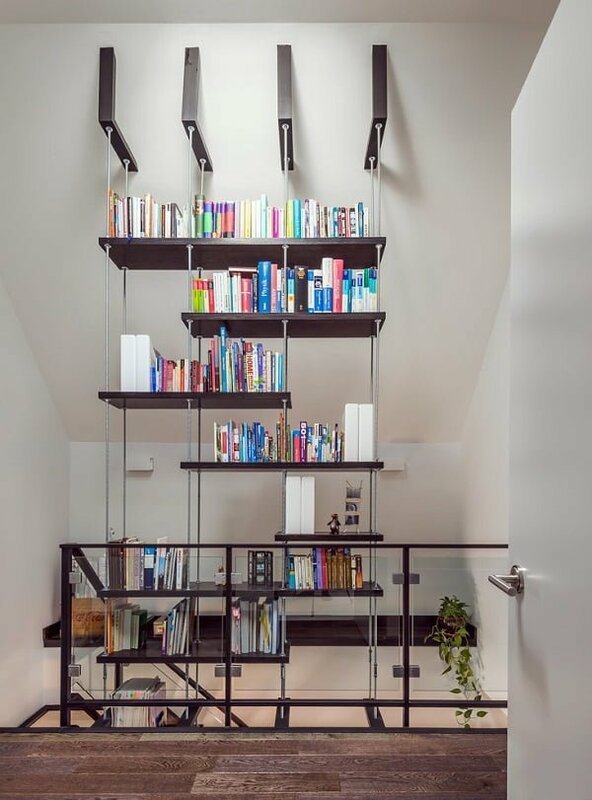 Don’t overcomplicate a bookshelf design and try introducing a simple and more minimalistic concept such as this fantastic bookshelf made of detached shelves and an iron support column. Be a bit different than the others and install a triangle-shaped bookshelf which contributes to the room itself with a playful design and dark hardwood planks. Masterful! 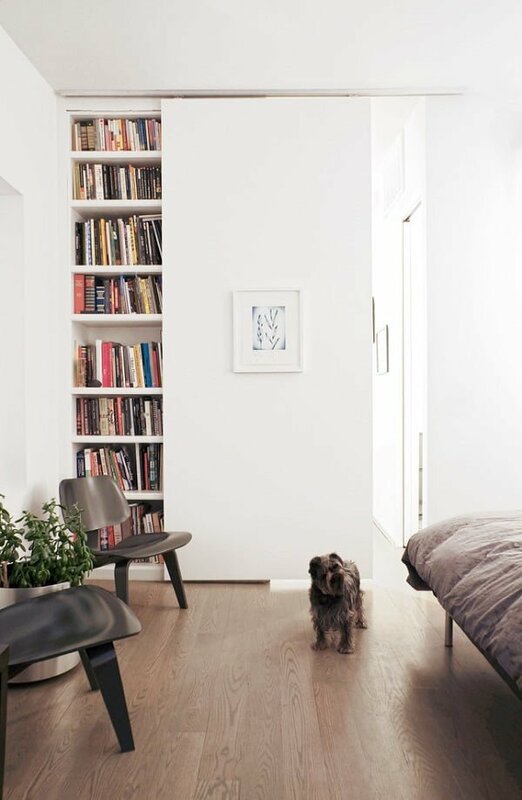 A column-like wall can serve as an excellent frame for an all-white bookshelf such as this one, which introduces dynamics and cheers to the room itself without taking up too much space. A great idea on how to use a vintage glass door cabinet as a bookshelf space, by allowing a peek into the bookshelf insides and introducing light into the room. 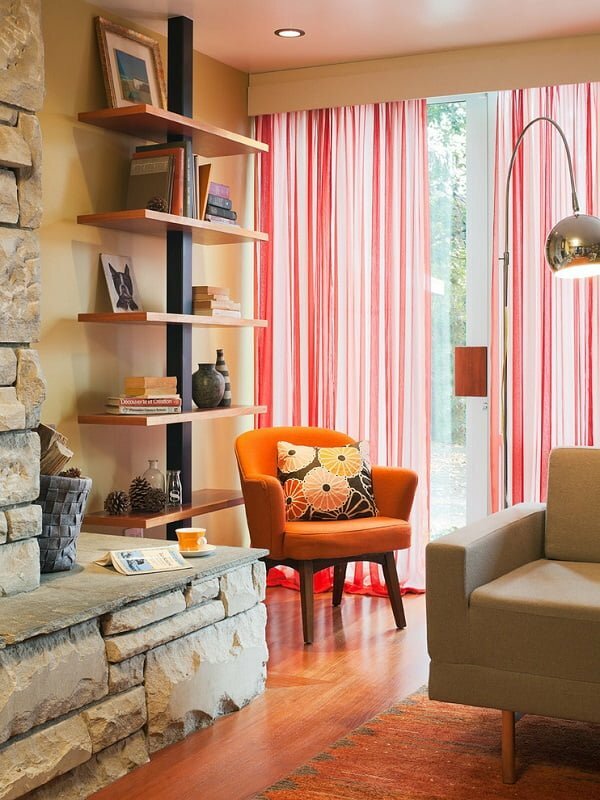 Play with layers, textures, and designs to create a practical bookshelf much like this one. Creating space and allowing storage room never looked so fancy! 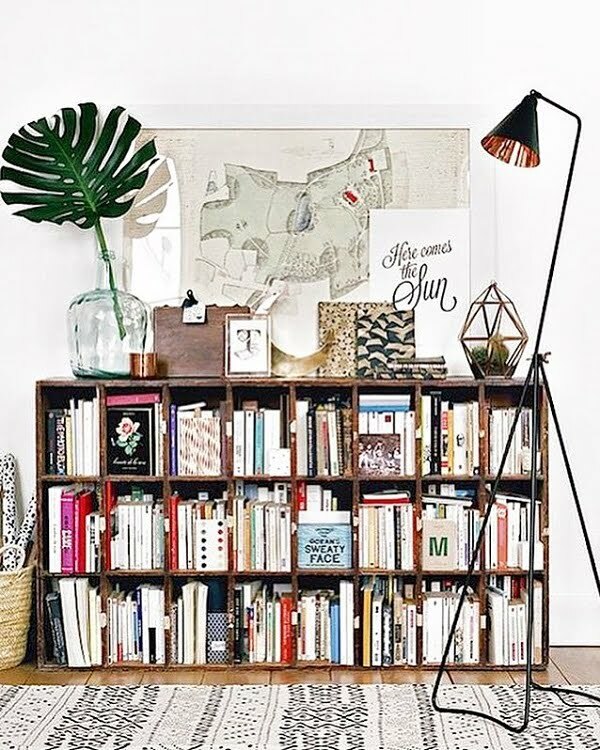 Think creatively and create a beautiful bookshelf which hangs on the second story wall magnificently, incorporating metallic and hardwood elements amazingly. The mellow hardwood elements of this bookshelf create a pleasant surrounding focused on uneven box shelves and a floor-to-ceiling concept. 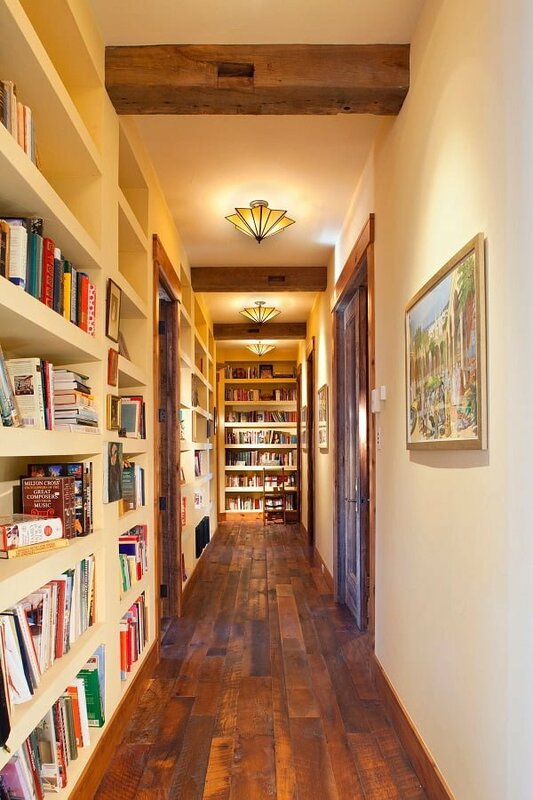 A brilliant bookshelf idea which uses soft brown hardwood elements, a wall-to-wall hallway installment, and an office-like vibration! Dare to be unique and create a zig-zag and slanted bookshelf made of dark hardwood planks and using a tilted outlook to deliver liveliness into the room. 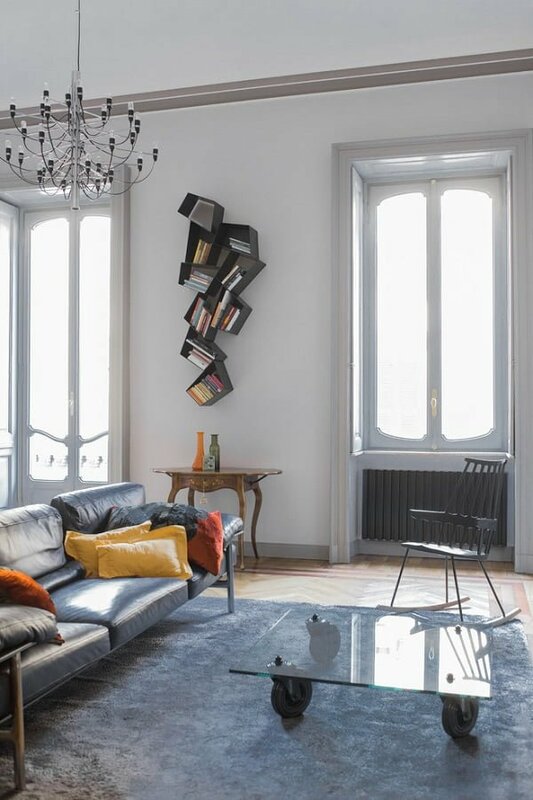 Although not significant, this sizzling bookcase is intelligently placed beside the interconnecting door, thus reflecting a more playful setting with plenty of lively colors. 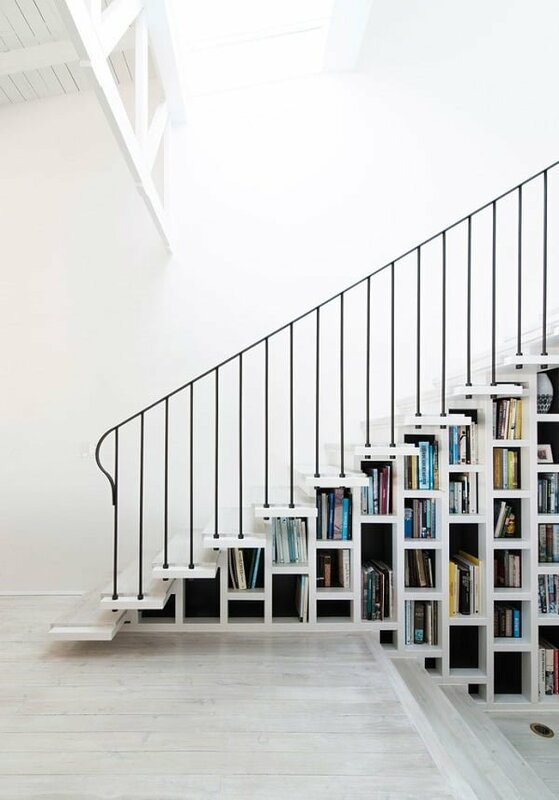 A prodigy approach on the traditional below-staircase bookshelf which provides plenty of storage space by using vertical-only box shelves. 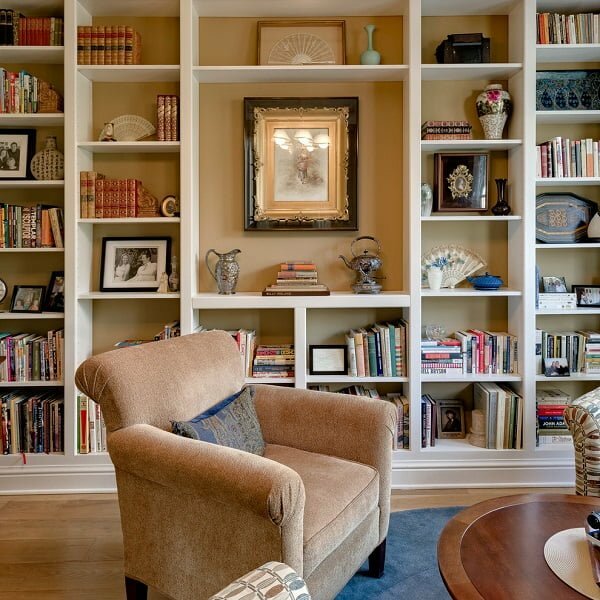 Elevate your traditional bookcase and transform it into a massive librarian paradise, offering open box shelves and white shades to allow extra space into the setting. 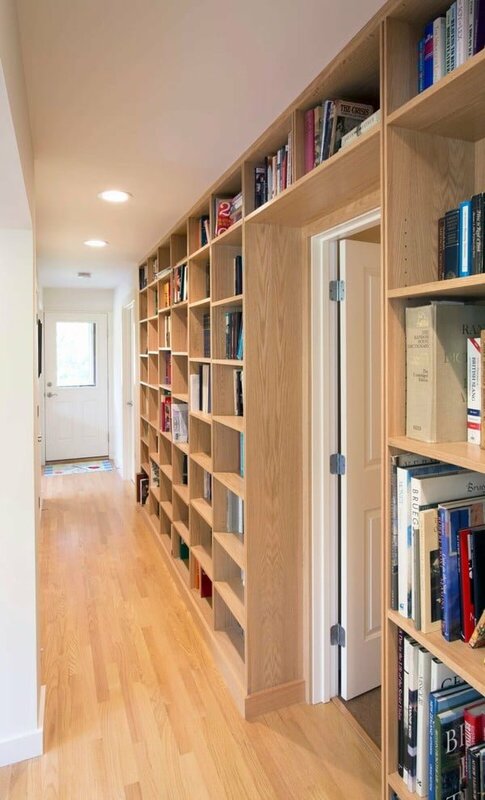 Make the most of your space by installing a narrow bookcase onto a secret joint door, which becomes thicker as it extends up to the ceiling. Wrap up an entire room with a strategical bookshelf which uses open cabinets and different shelf boxes to allow improved space management. 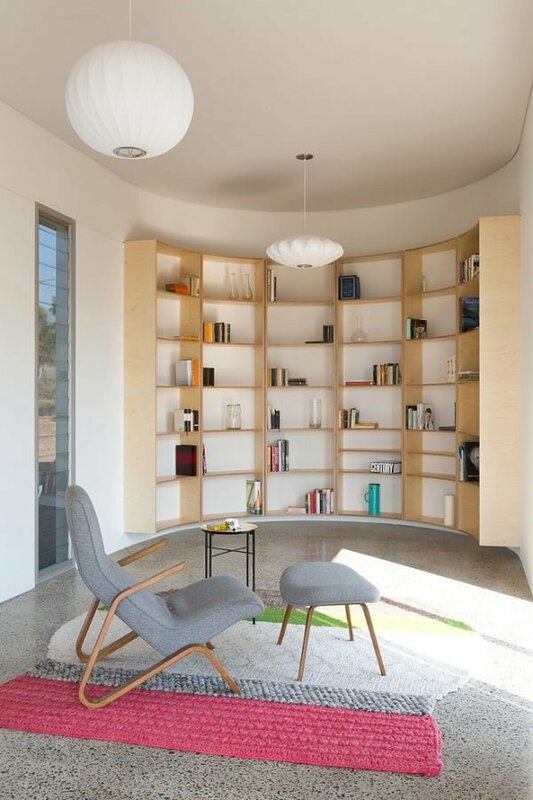 Use an oval wall to incorporate light and soft bookcase which is attached to the all-white walls and prevents the space from suffocating regarding decor. 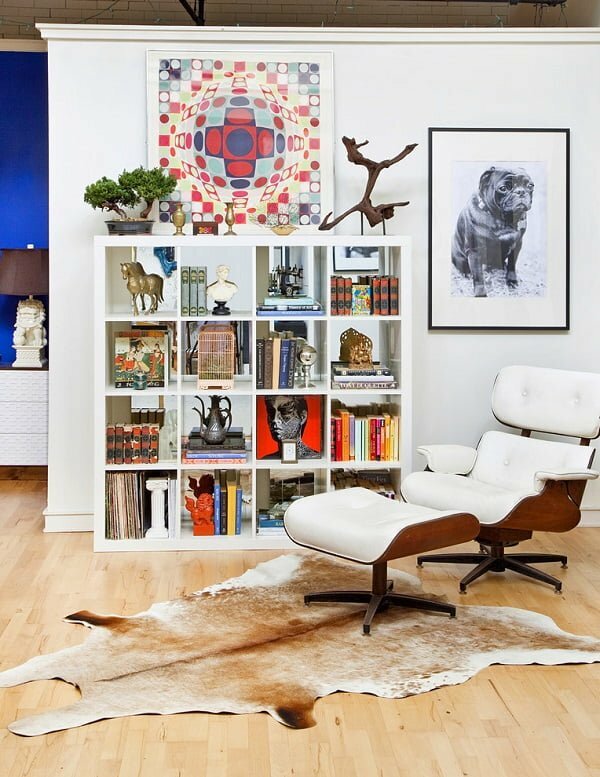 Break up the all-white tones in this room by installing a simplified, yet efficient bookshelf which offers plenty of decorative bits and works well with the blue reading armchair. 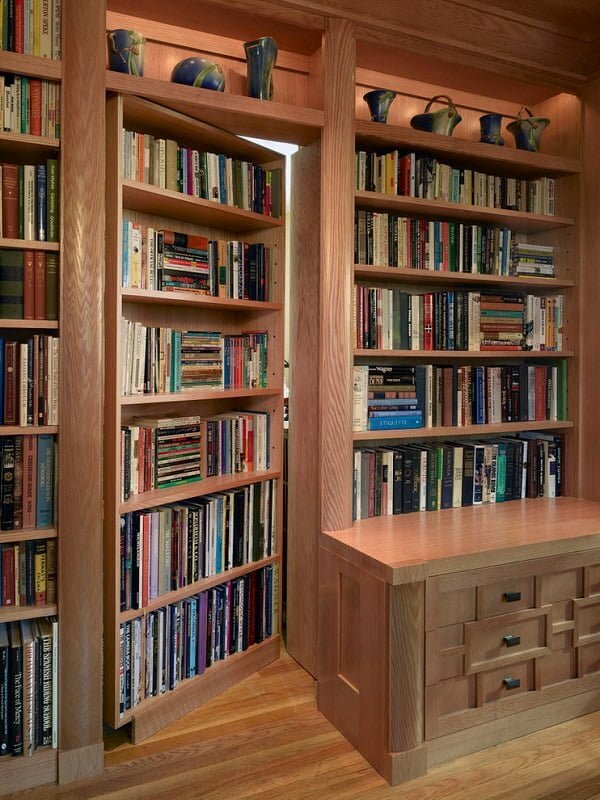 This marvelous and staggering hardwood cand custom-made bookshelf is a part of a secret joint door, which creates a mysterious yet enjoyable setting in the office itself. 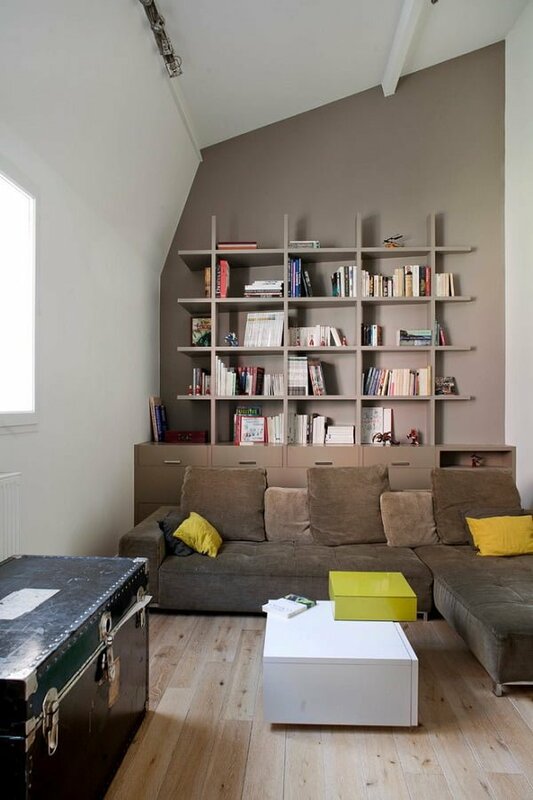 A great take on a tiny bookshelf which holds just enough storage room to make the setting look cheerful without taking away from the living room’s design. 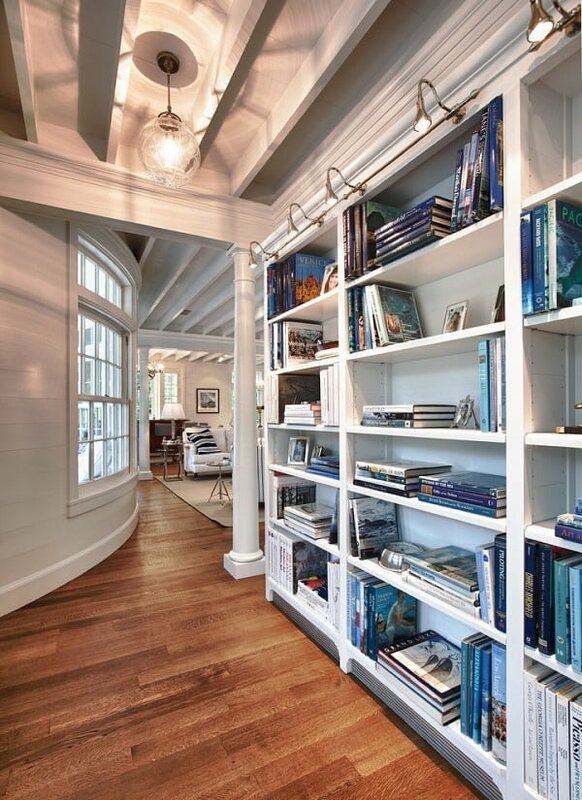 A slanted outdoor connecting wall can become a gorgeous bookshelf design, with white hardwood shelves and a unique outdoor window in its center. 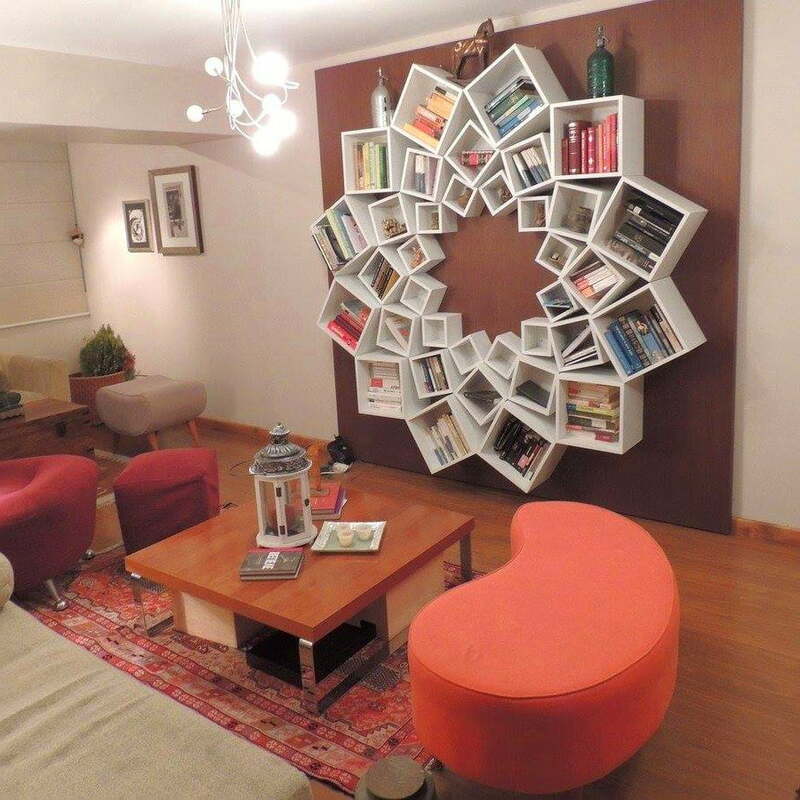 Here are 20 more wonderful bookshelf designs that make use of books to create a beautiful interior design. 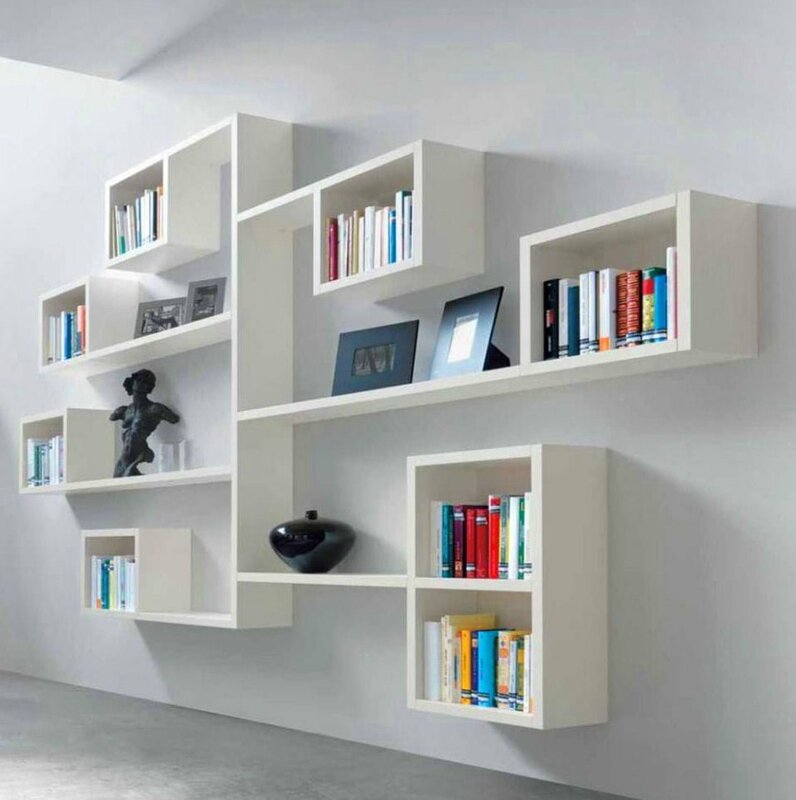 Starting with irregular but straightforward white bookshelf that gives a modern look to the interior design. 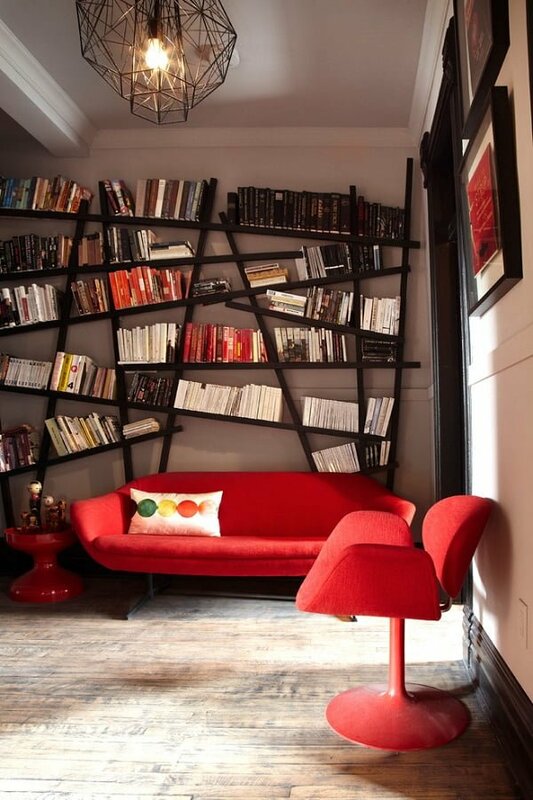 Speaking of irregular, this bookshelf is an excellent use of space separating wall. 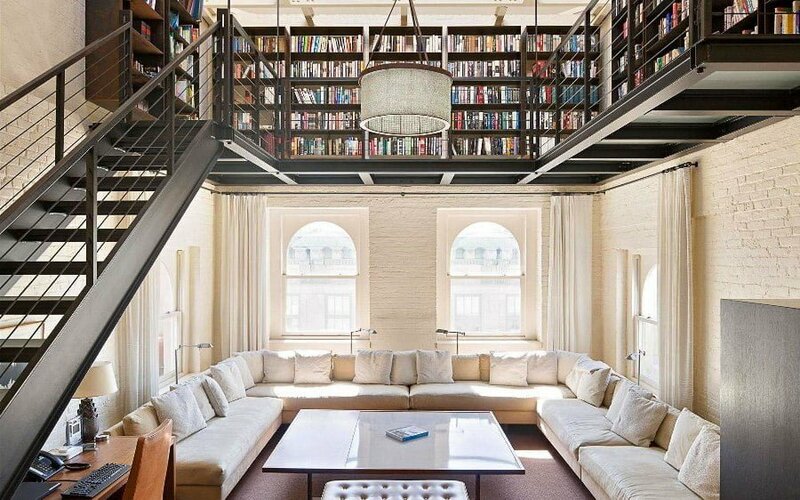 When you have enough vertical space building a library like this is a bookworm’s dream come true. 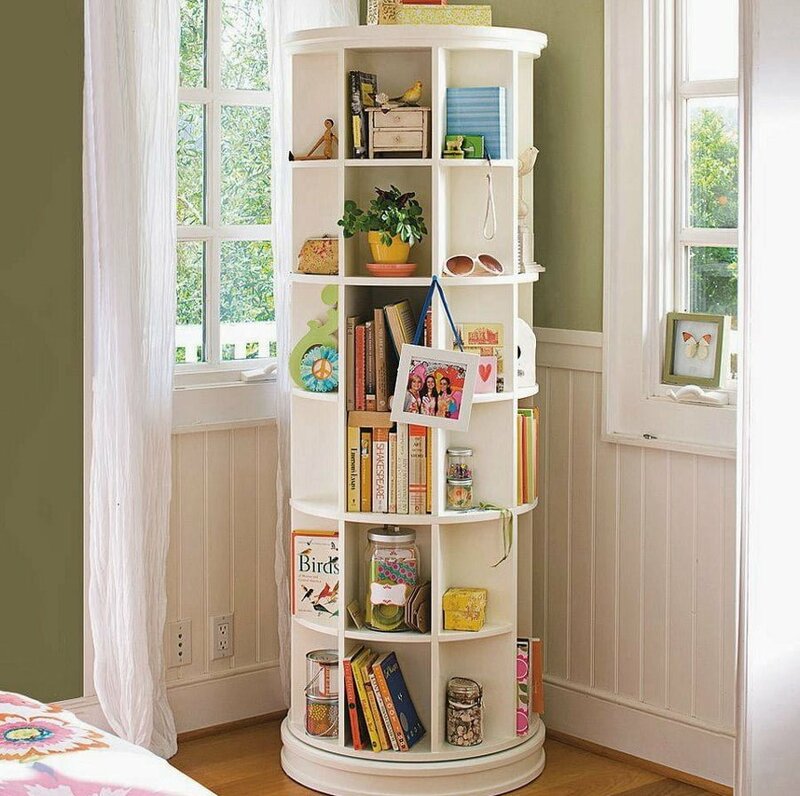 A freestanding bookshelf tower that can occupy an empty corner. 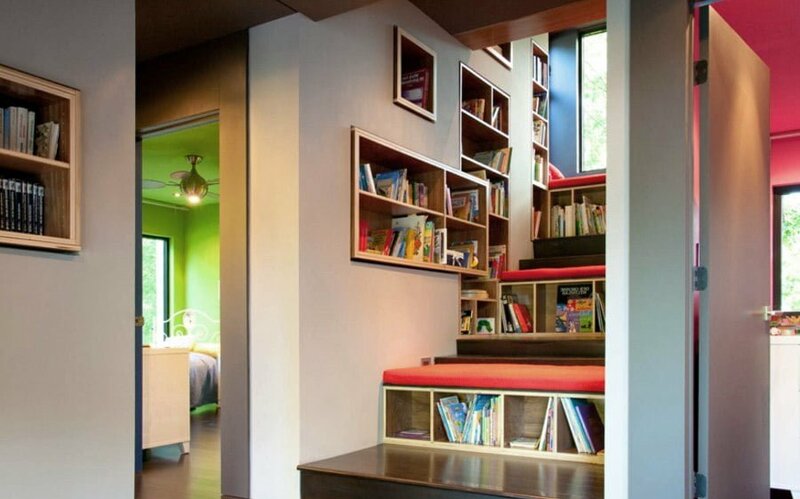 We’ve published an article on staircase designs recently; this is another one for clever use of staircase storage space. 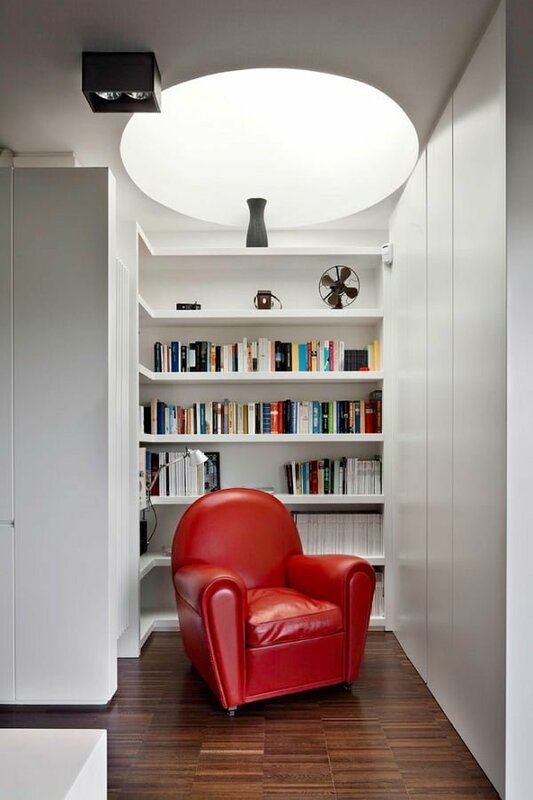 Compact and creative reading corner. 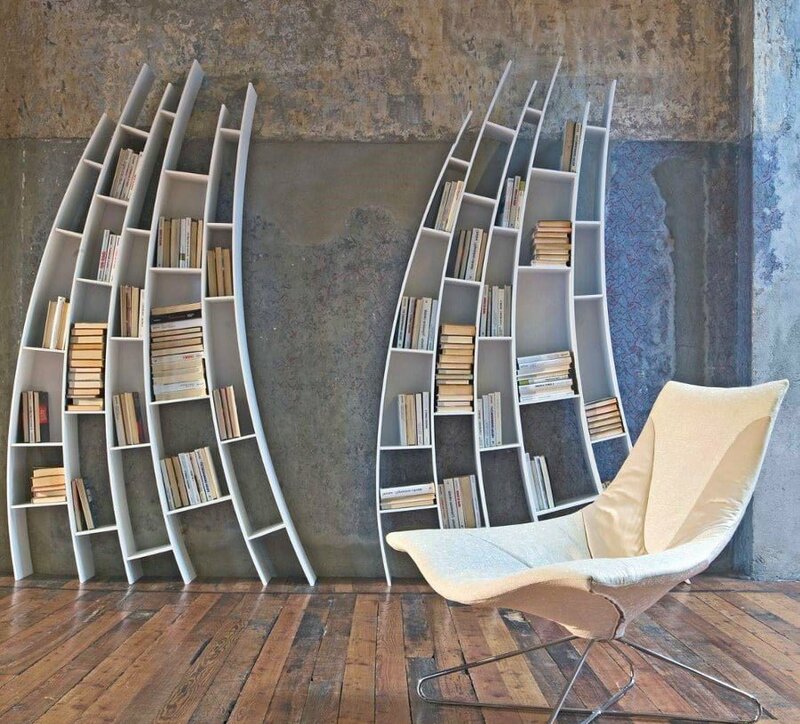 A fantastic bookshelf design in the shape of sails. Rounded corners make a beautiful modern style. 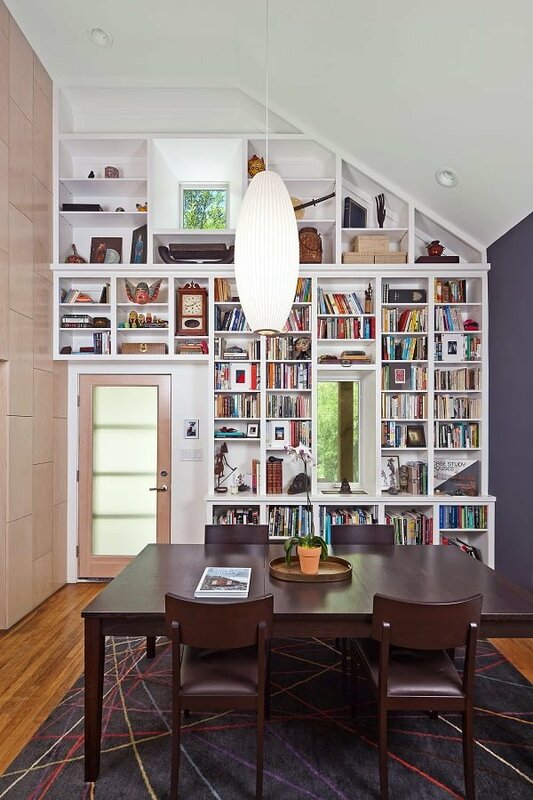 Another excellent example of an upstairs library. 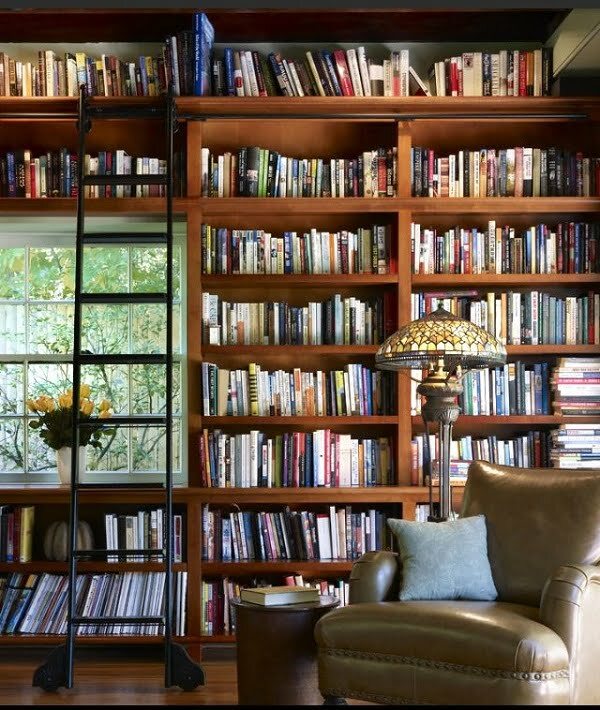 Just look at the shear size of this bookshelf – it’s beautiful just because of that. 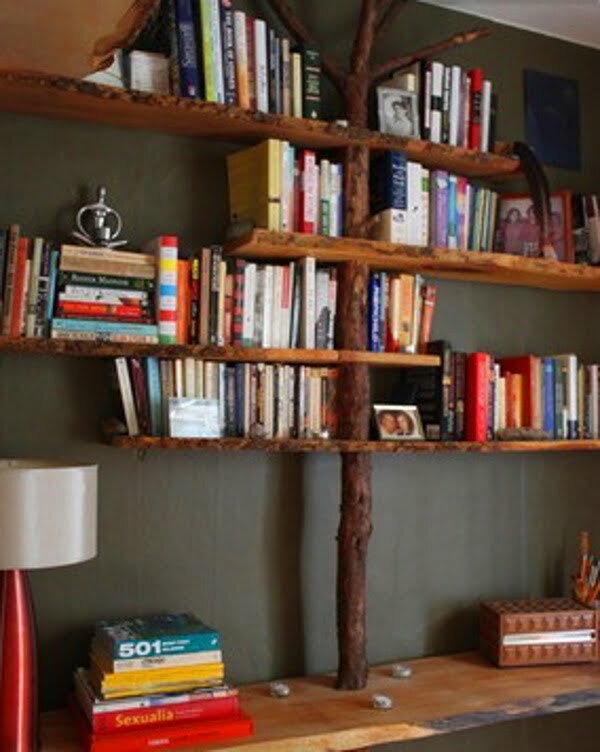 Simple and beautiful home office bookshelf design. 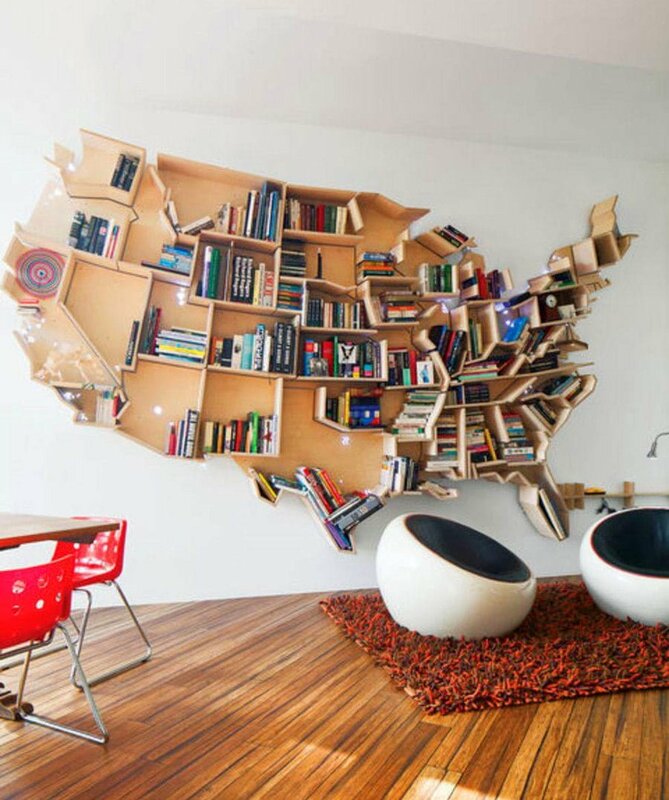 A bookshelf can take a lot of forms, and this is the USA map shaped bookshelf. 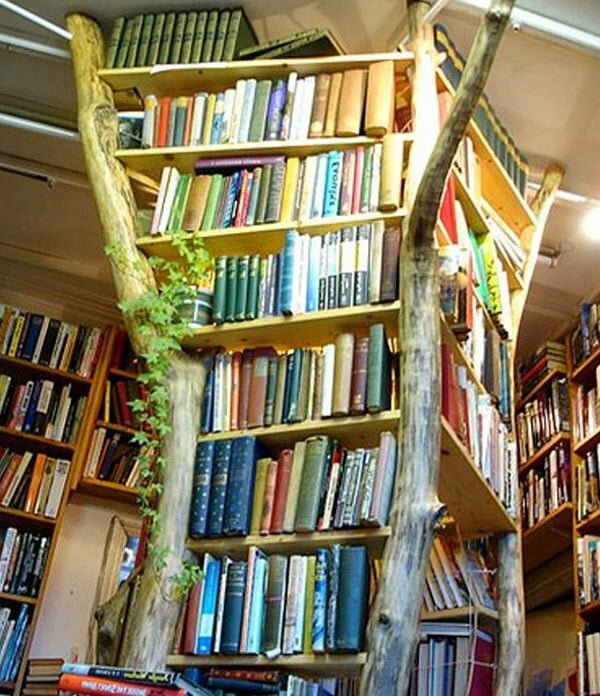 Sometimes books grow on trees. Tilting the shelves is not so much practical as it is beautiful. 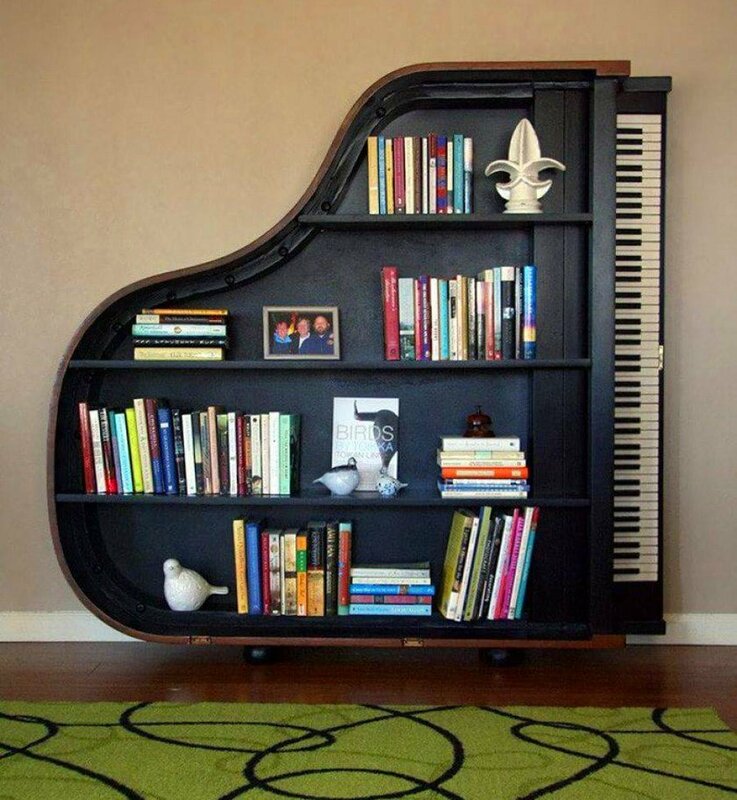 Another great themed bookshelf design. 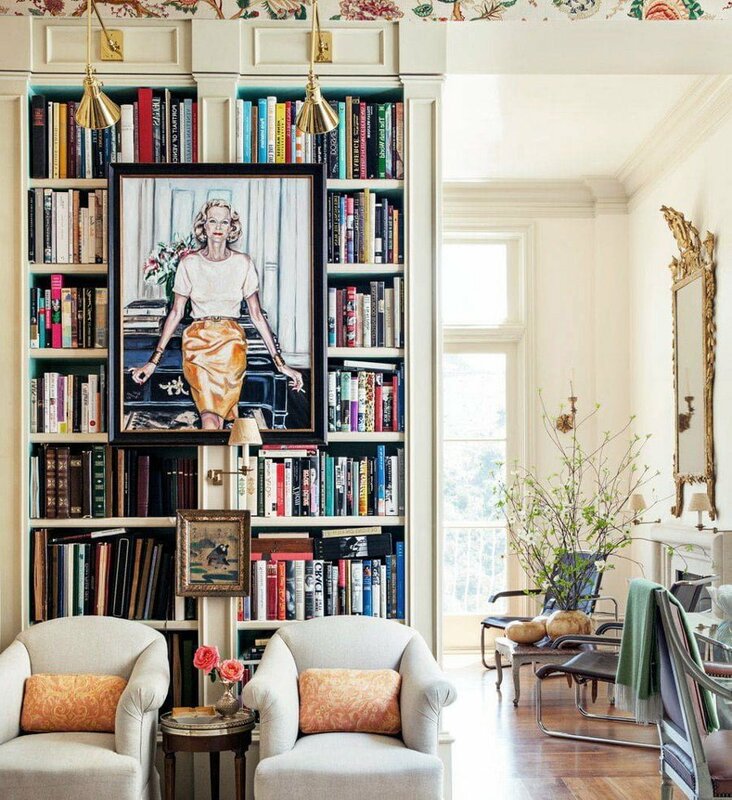 How about hanging paintings against the bookshelf. Combining strict forms and creating wall art. 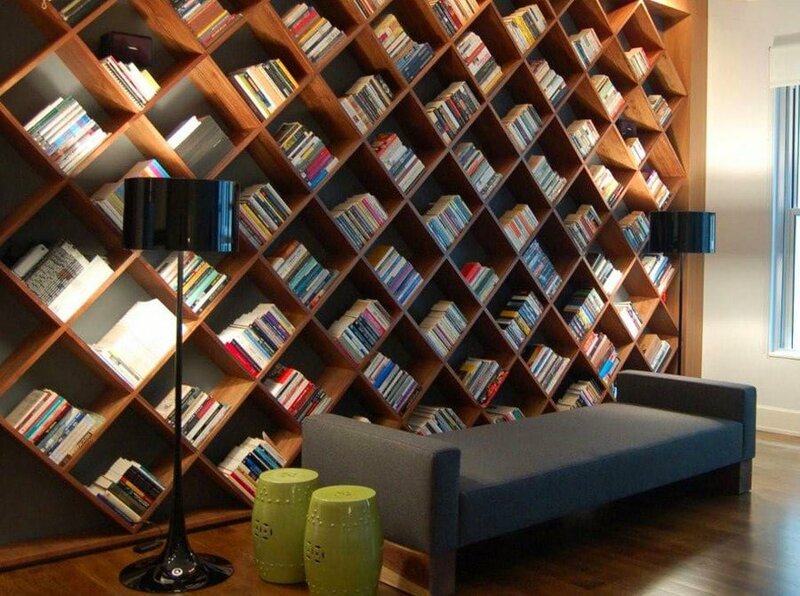 This bookshelf reminds us of a wine cellar. 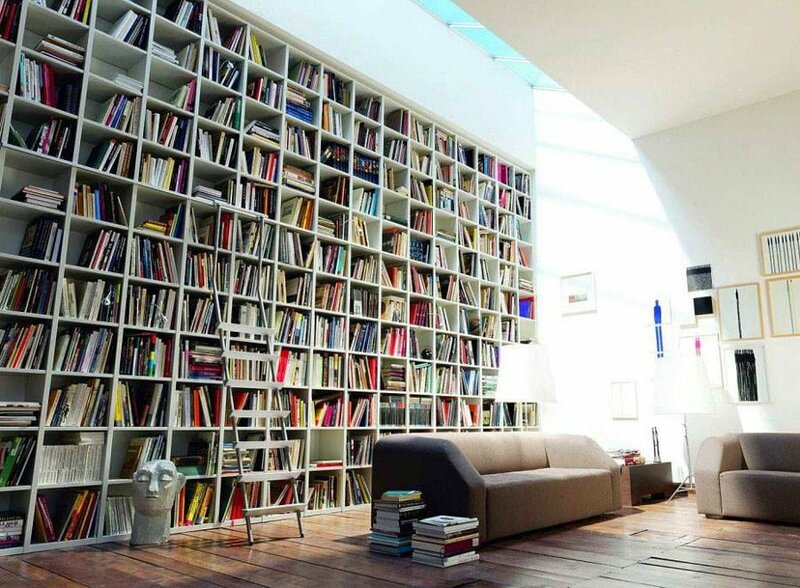 Turning the entire wall into a bookshelf. There aren’t many unique designs, that’s why we can call them unique. 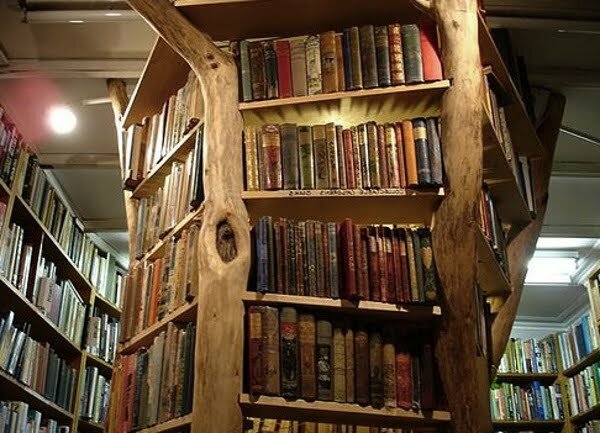 Speaking of bookshelves, there is a lot of tree-shaped ones because of, you know, the tree of knowledge, but there is very few that dare to go as far as using real trees for a bookshelf. That’s why we’ve found only five but they are truly unique and inspiring – definitely worth your attention. 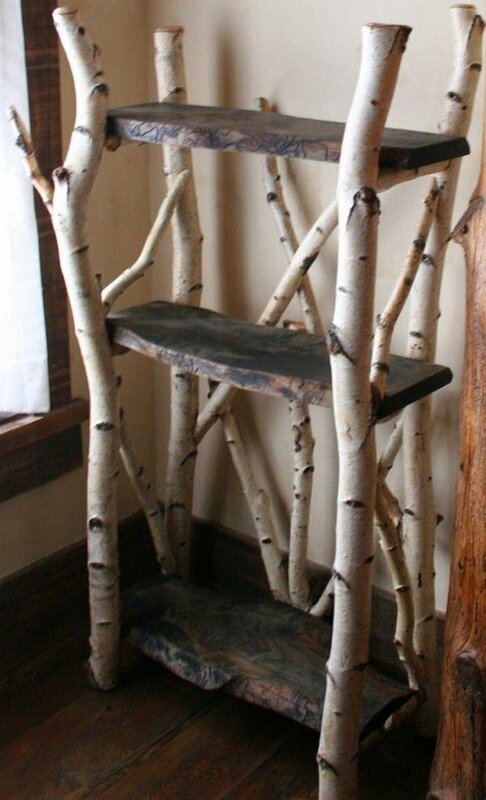 This bookshelf design is made of real birch tree branches, and it looks very natural. 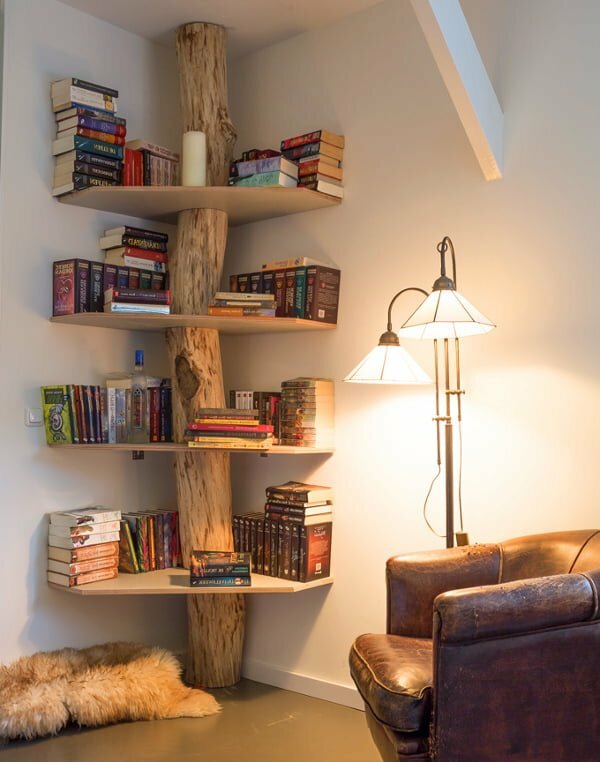 Another great use of a tree trunk. This design uses an array of tree trunks to create book shelving. And a similar design to the previous one only with an extra touch which is remarkable and makes the whole thing come to live with the use of a green plant.